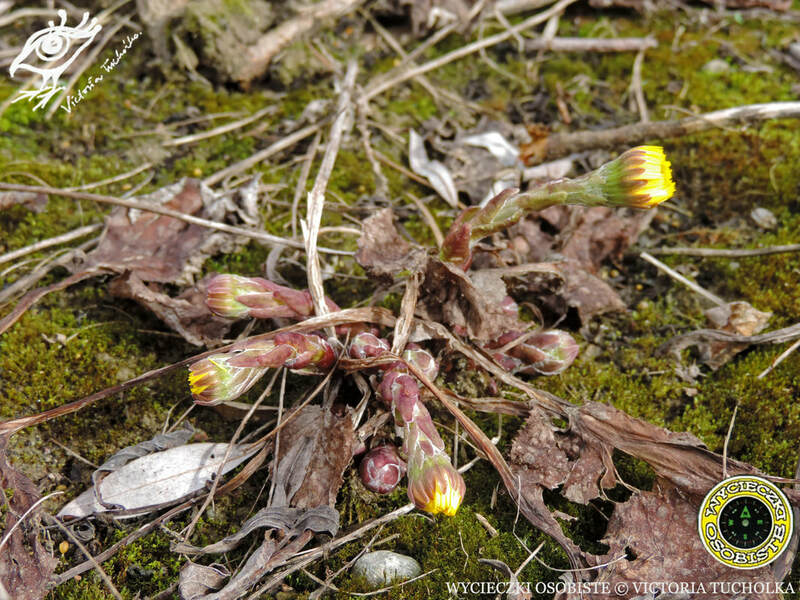 In early spring leafless purple stems bearing scale-leaves appear from the heavy clay or gravel ground by the rivers and on wastelands. 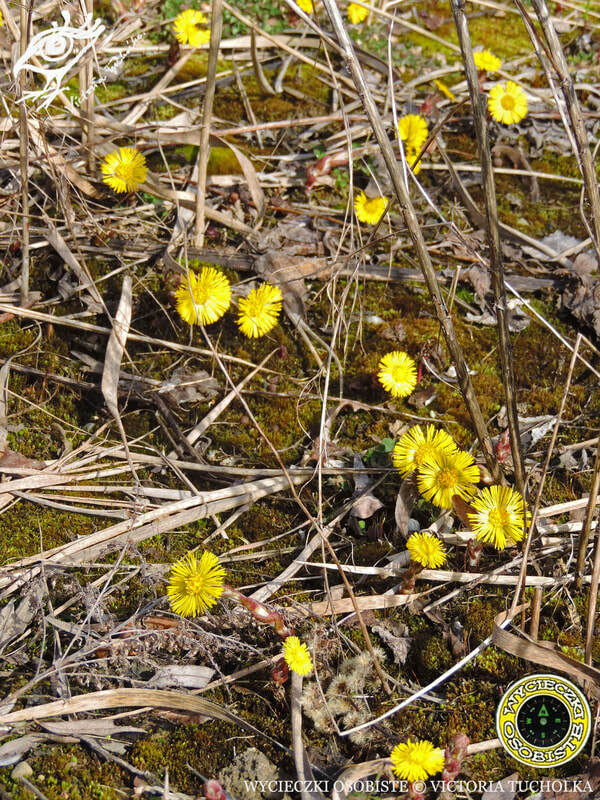 In a matter of a couple sunny days they stretch up in length and the tip buds open up in yellow flowers resembling dandelions or daisies. The leaves appear in late spring. 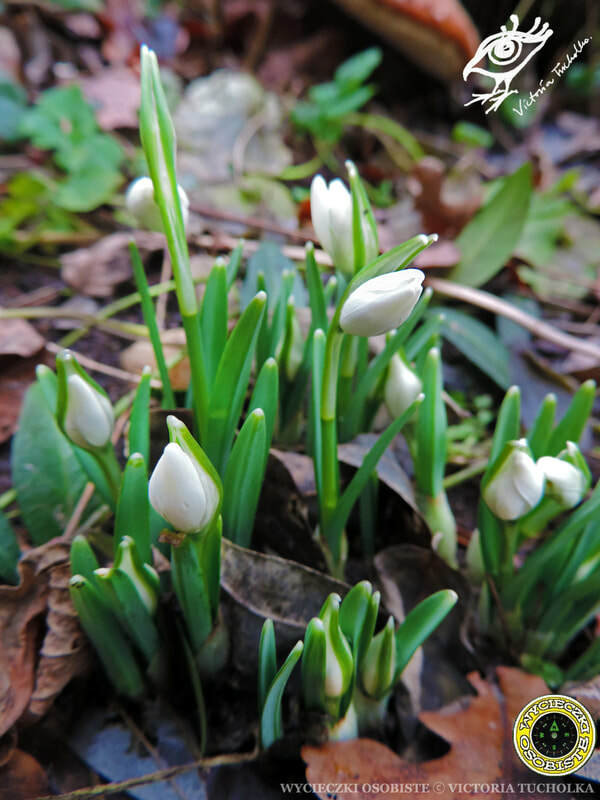 If you kneel down and smell the flower, you will immediately feel its herbal fragrance. 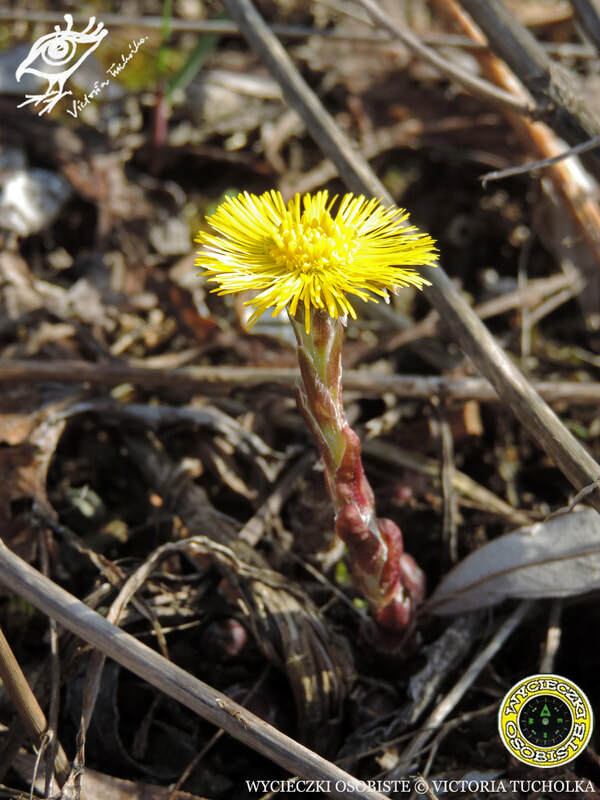 By no coincidence coltsfoot has once been used in unconventional medicine as a popular remedy for cough. 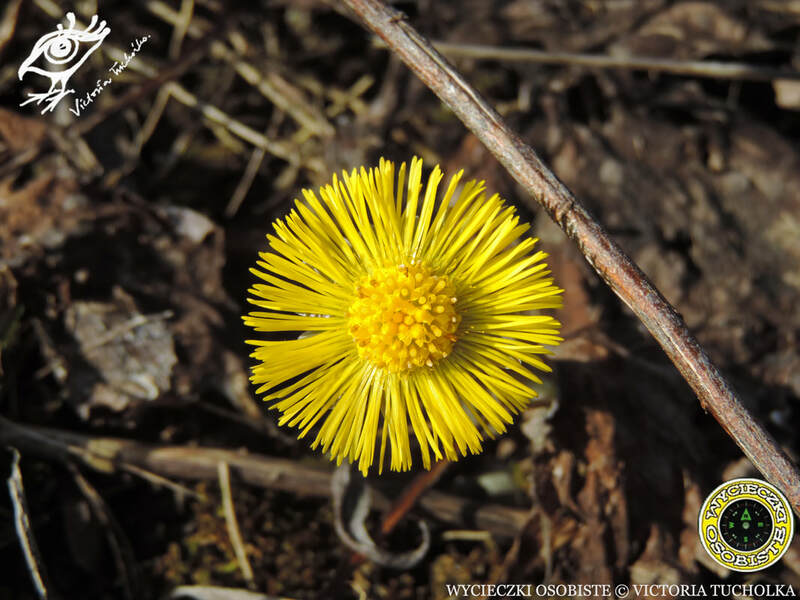 The very name tussilago from Latin tussis, meaning cough, and ago to act, speaks for itself. 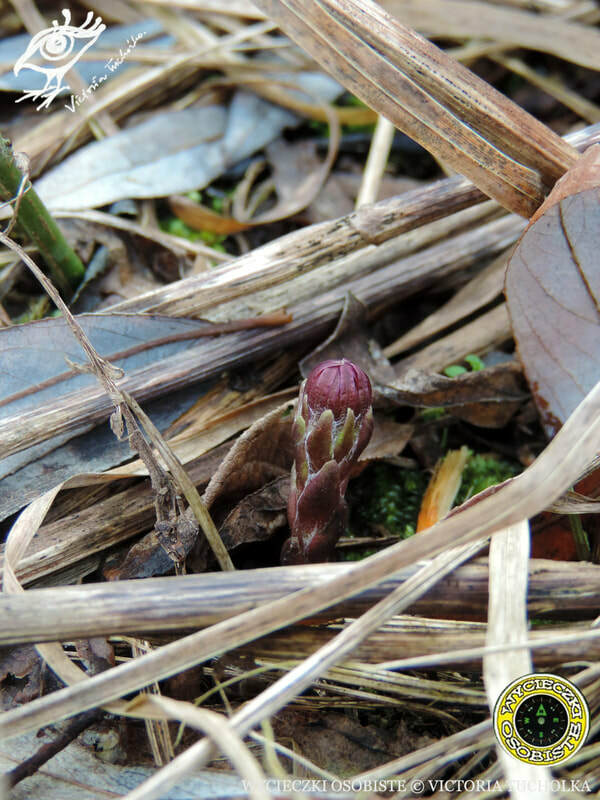 Whole flowerstems were cut up and put in honey to produce a syrup for cough, cold and other diseases. 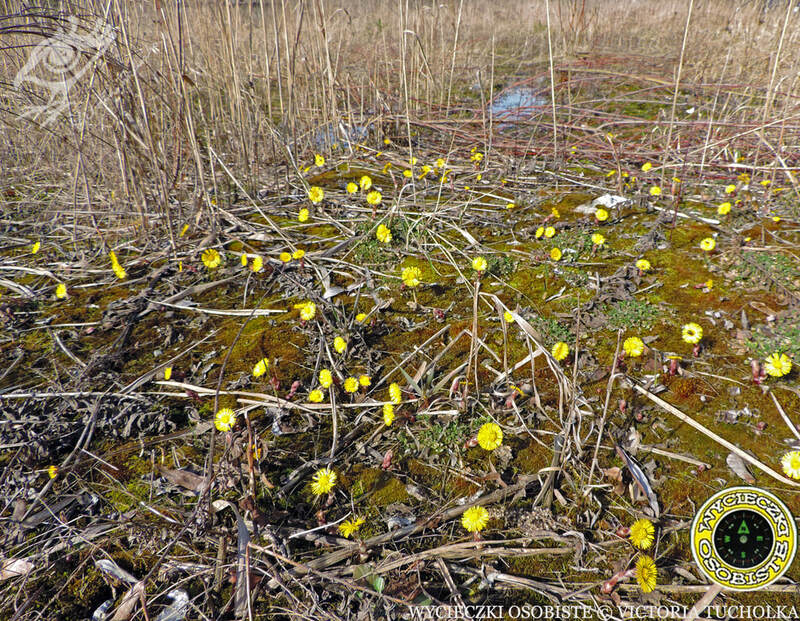 The plant usually grows in large colonies on heavy, greasy and moist clay soils by the rivers and on wastelands in Europe and in north-west Asia. 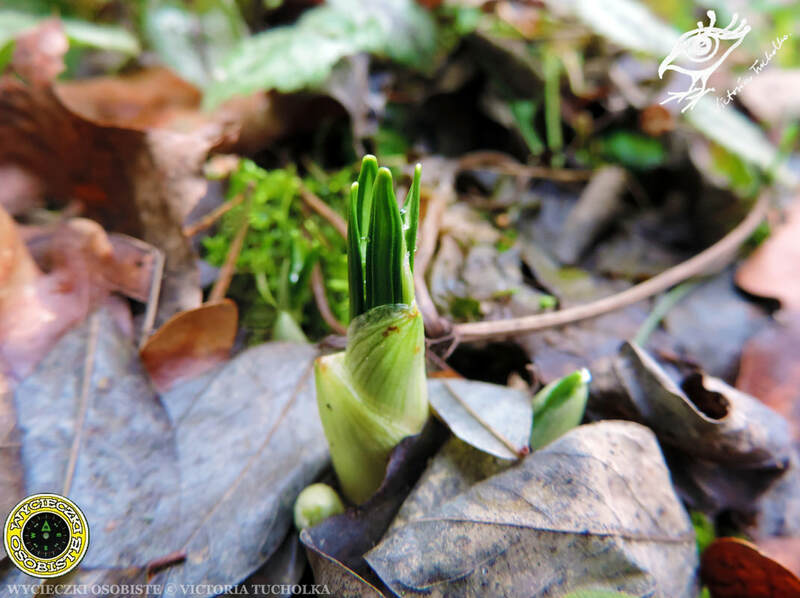 It is believed to be a pioneer plant which with its roots and rhizomes prepares the soil for the introduction of new plants. 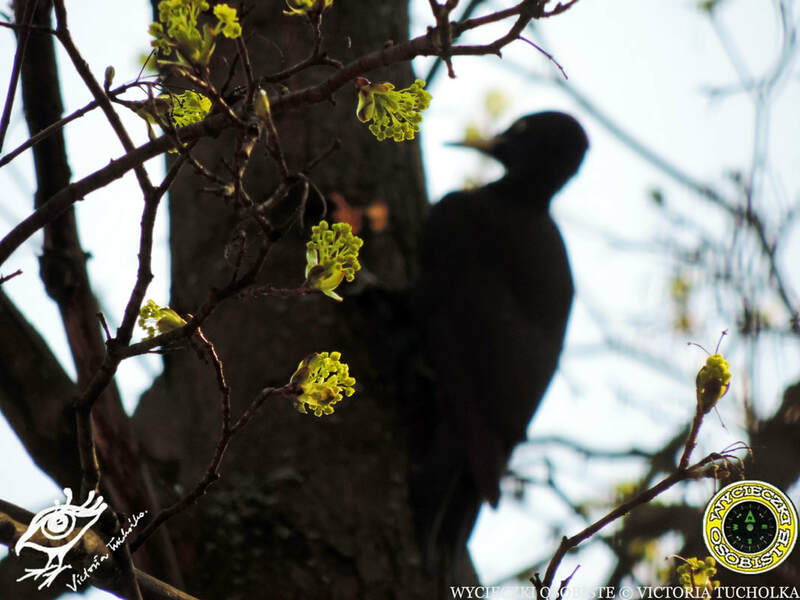 Birds - one of the most awaited harbringers of spring. Bird watchers are all with their heads in the clouds. They are on the look for geese, storks, cranes or swallows to name just some of the more representative winged spring guests. As winters in Poland tend to become lighter and warmer every year, the showy cranes and emblematic storks often decide to stay in the country. 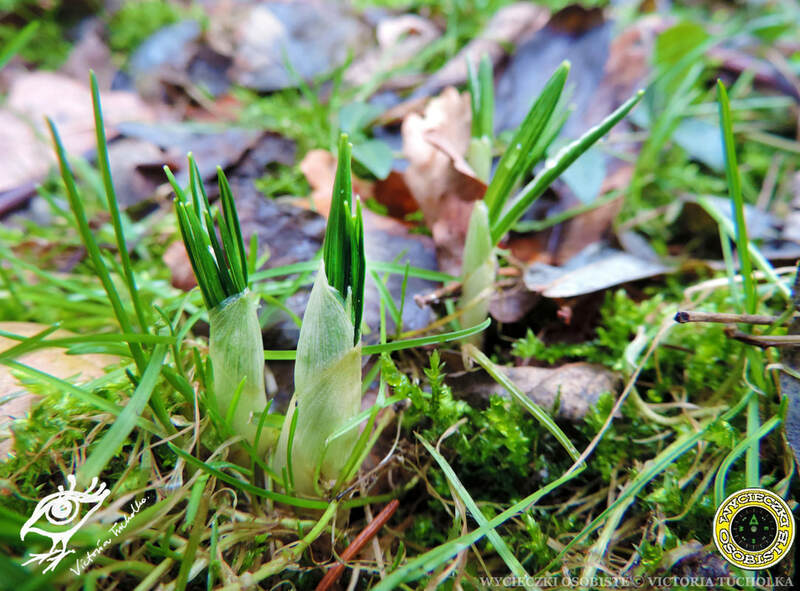 I have my personal harbringer of spring which shows up in my garden every spring. 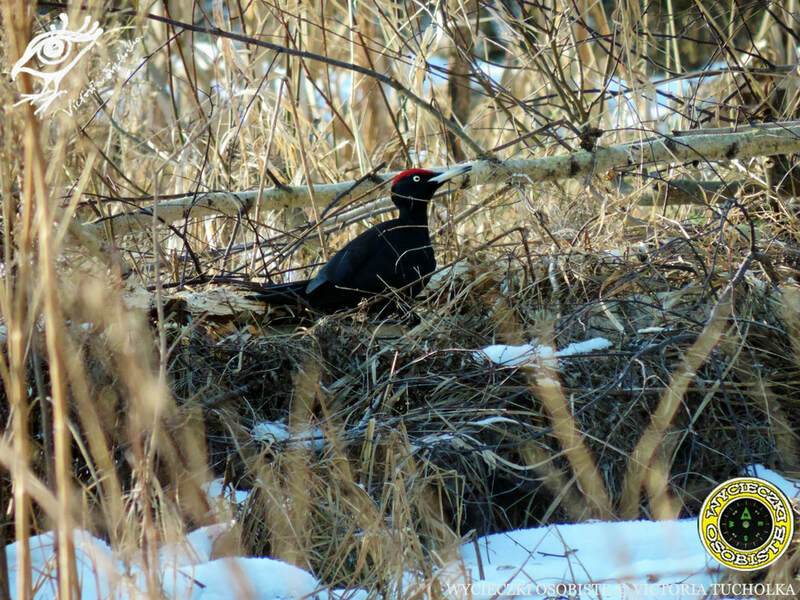 The black woodpecker (Dryocopus martius). 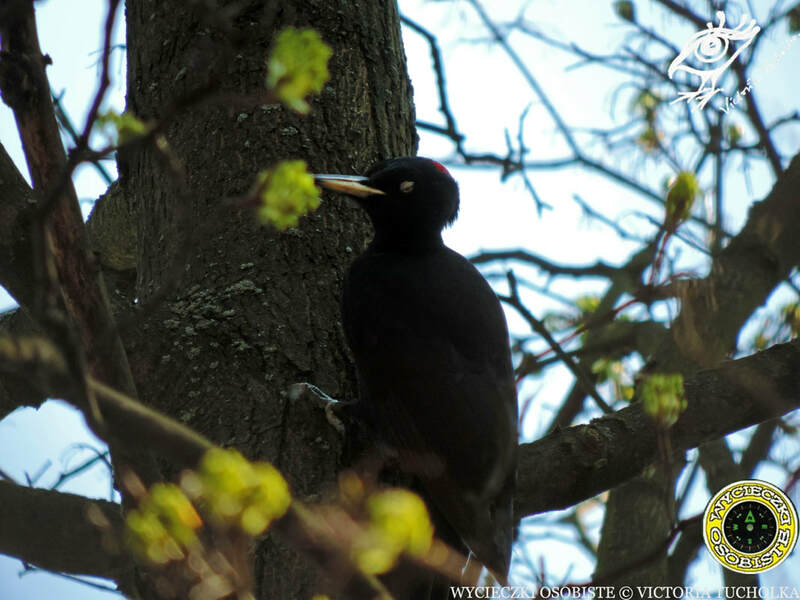 This red-hooded black bird the size of a rook is the biggest of woodpeckers living in Poland. 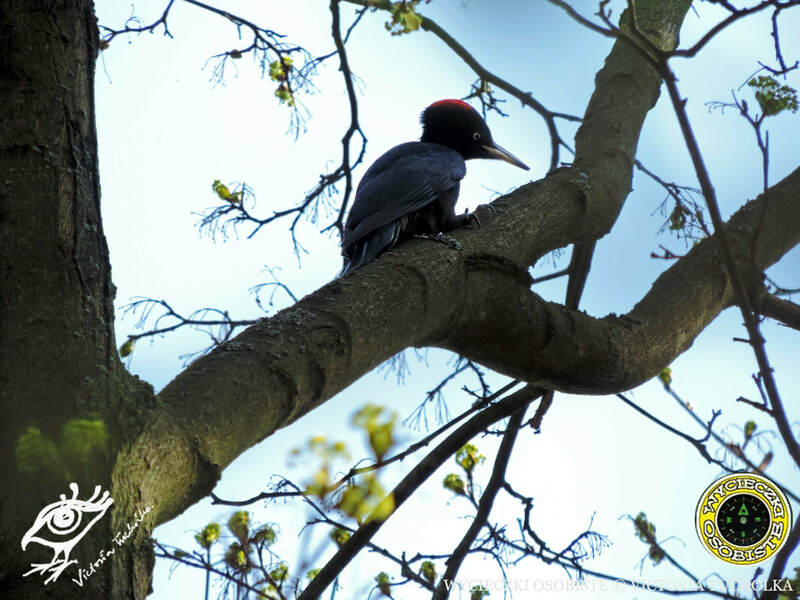 As most of the woodpeckers it feeds on insects and their larvae by penetrating the bark and making holes in the trunks of both dead and living trees. 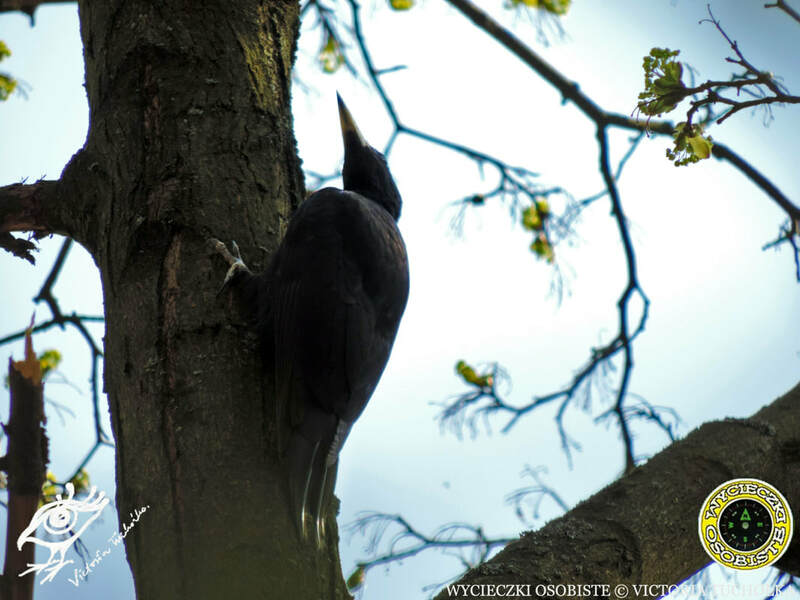 Sometimes it makes a lot of noise by hammering into trees with its hard beak which is also part of the process of marking its territory. The bird can cling to and walk up the trunk thanks to its large clawed toes and stiff tail feathers which act like a prop. 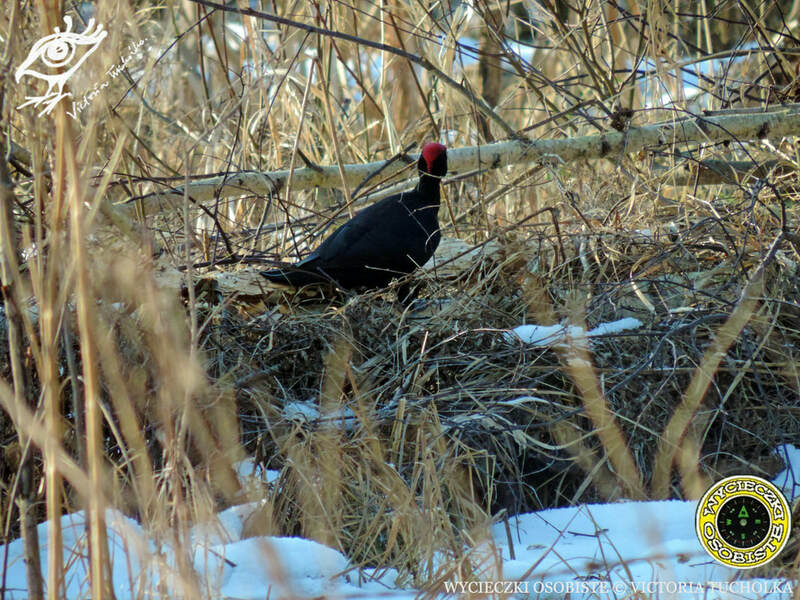 The male has a large red cap on its head ranging from the front to the back of the head while the female can be recognized by a much smaller red spot on the back. And here it comes again! Fat Thursday. It falls on the last Thursday before Lent and heralds the end of carnival. One of the most awaited feasts of the year for Poles. I would risk saying there is no public place in Poland today without a pączek (doughnut in Polish) traditionally filled with rose-petals jam. Poles like it sweet and greasy, indeed. 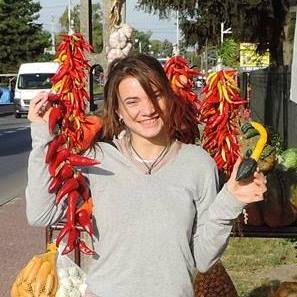 For a foreigner it might be difficult to understand and accept, but the character of Polish cuisine has certainly been shaped and determined by geographical location and climatic conditions. How else would you be able to survive harsh winters? If you prefer something more dietetic to Polish pączki and faworki (angel wings in Polish), at least enjoy the photos. 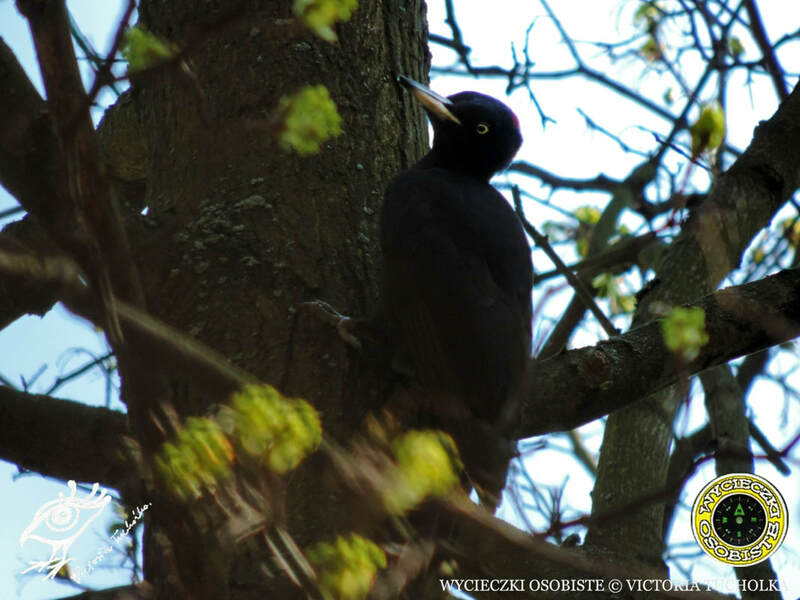 Spring in Poland is the best time of the year to make observations of owls. 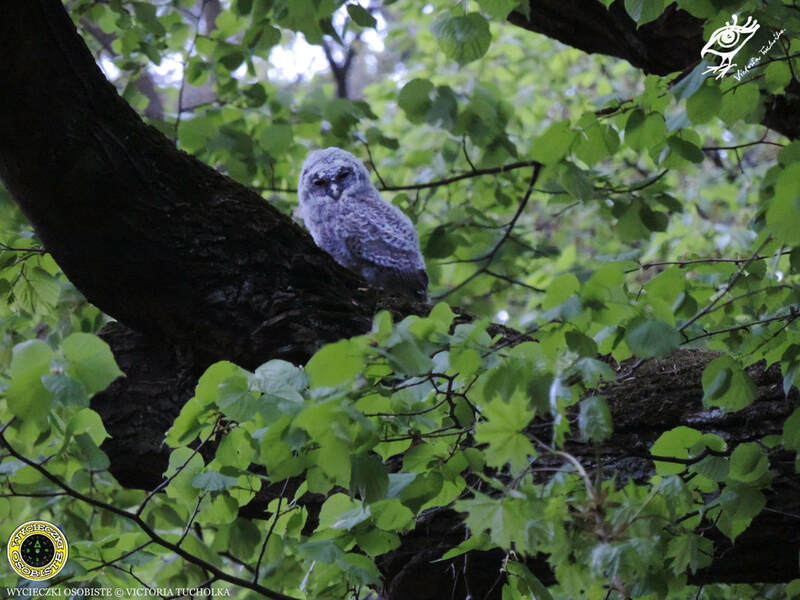 It is breeding season for owls - they become significantly more active at night and it is easy to hear their screams in parks and forests or, if you are lucky, even see them. 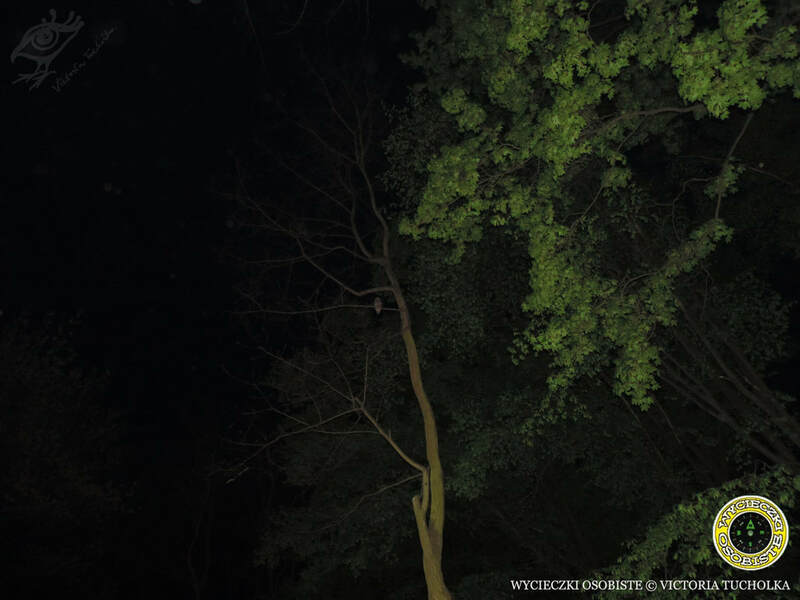 I was lucky enough to identify the presence of two owls on trees this year and even make some photos of them. These were my first free-living owls I have seen in my life. If you liked this post, leave a comment or visit my official fb profile Poland for Beginners. 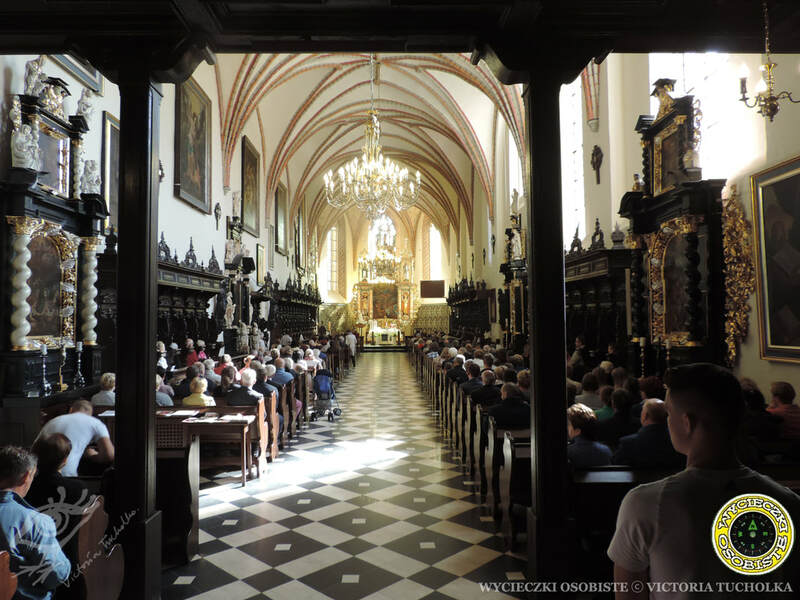 Poland is certainly one of the most religious countries in Europe. Most Poles are Catholics. Many are practicing Catholics. 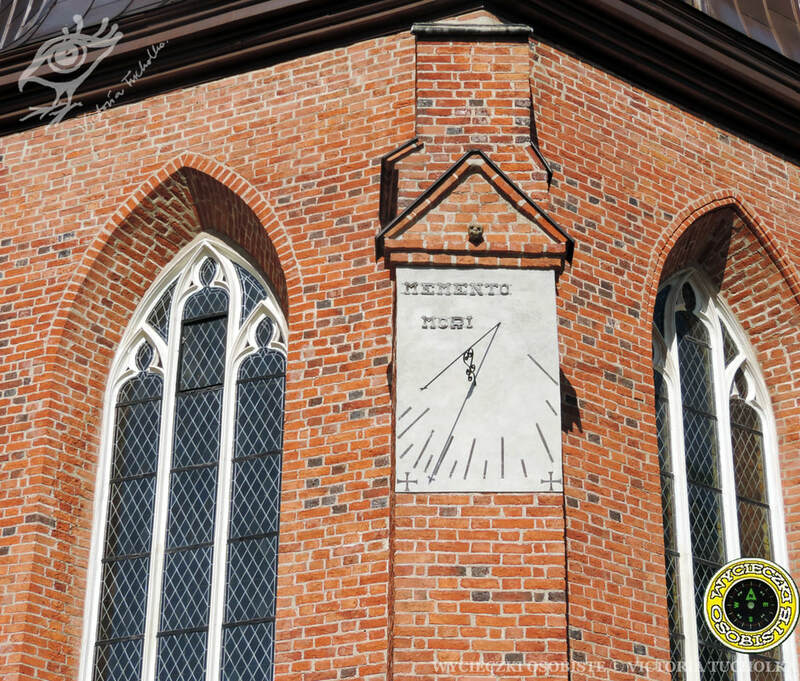 Churches and road chapels form integral part of Polish landscape no matter which part of the country you go to, whether it is the city or countryside. Many of them are true pearls of great architecture and arts. Most national feasts come together with different church events celebrated in a great fashion. Epiphany or Three Kings (Polish: Trzech Króli) is one of them. It takes place on January 6, which is officially a non-working day. On that day people gather by the churches to take part in huge processions welcoming the Wise Men. Children often dress up and wear paper crowns, the crowd sings carols, living nativity scenes are enacted, church leaders preach. Poles come back home with small packages containing chalk and incense in memory of the gifts of the Magi. 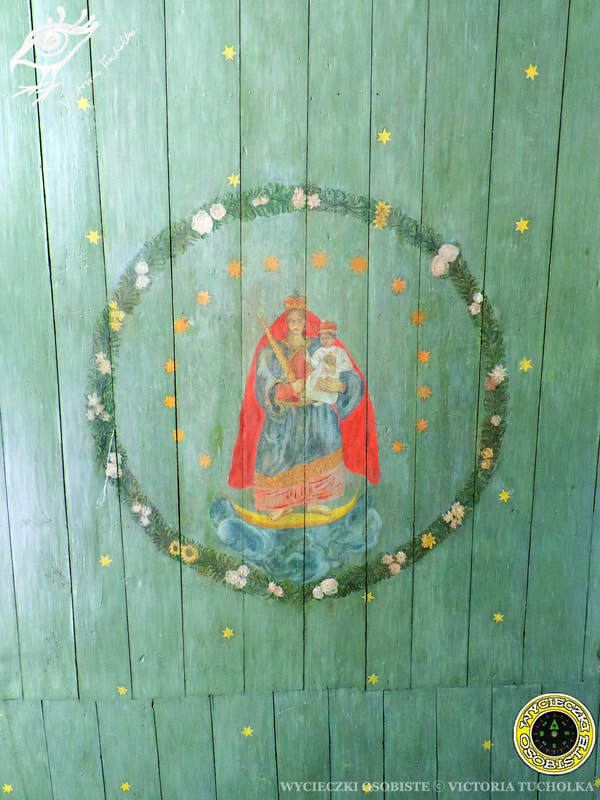 They burn the incense to clean the home from bad energy and draw with the chalk the signs "K (or C) +M+B" on the doors to provide protection for the house against misfortune and illness. 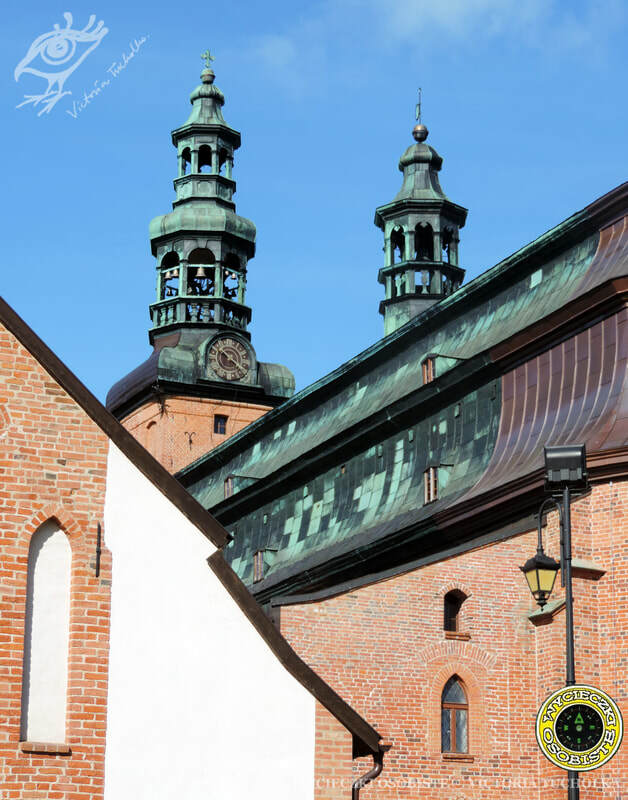 The signs stand for the names of the Three Kings in Polish: Kacper (or Cacper), Melchior and Baltazar or Christus Mansionem Benedicat (May Christ Bless This House). 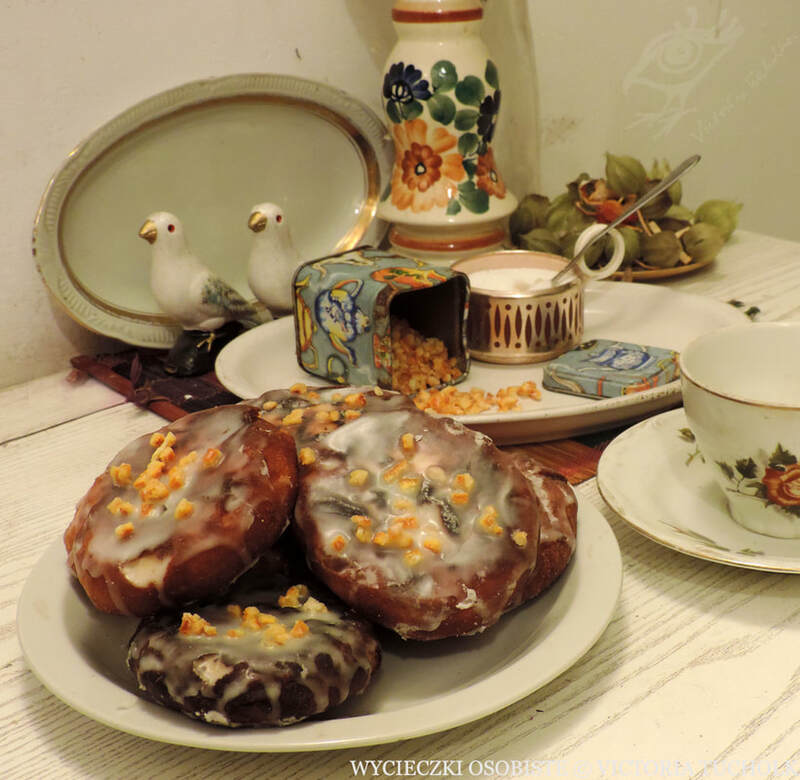 Epiphany in Poland marks the beginning of the carnival with another great feast Fat Thursday, on which traditional pączki (doughnuts) and faworki (angel wings) are served. 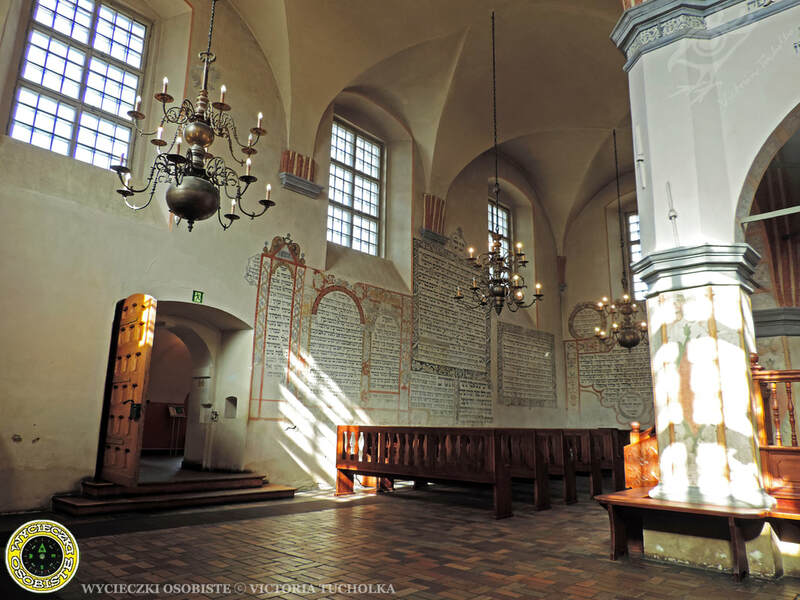 It is also worth noting that Poles have been long attached to their land as peasants and many of traditional church feasts grew up and borrowed a lot from earlier pagan celebrations strictly connected with praising natural powers. September is the time in Polish calendar when summer and autumn meet. Usually it means the differences in temperatures by day and at night begin to be more and more visible. There are less and less sunny days and usually rainy weather dominates, so it gets chilly and it is easy to catch a cold. Still every cloud has a silver lining - September is the time of harvesting of all kinds of fruits and vegetables. Moreover, the colorful forests abund in mushrooms. 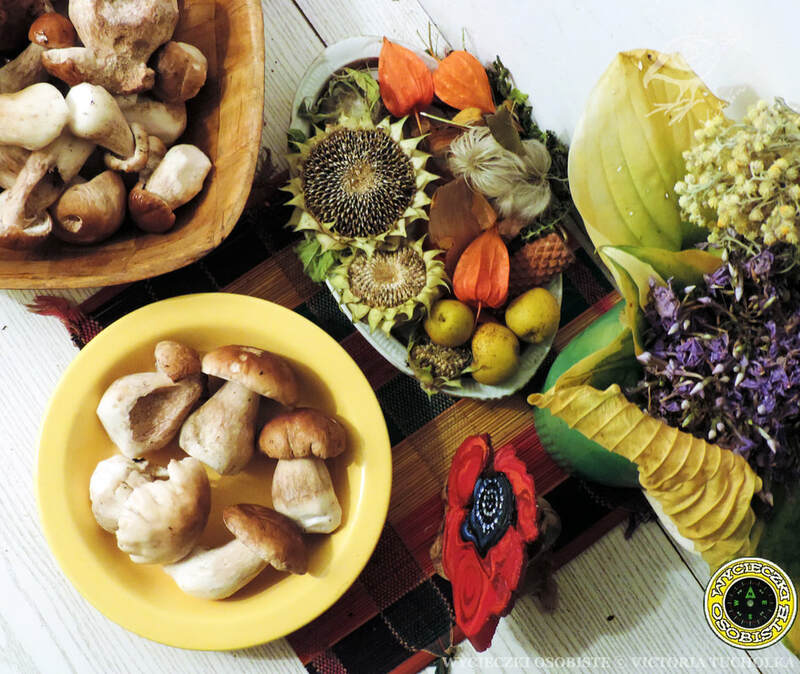 To sum it up, September is the most colorful and generous season of the year in Poland. 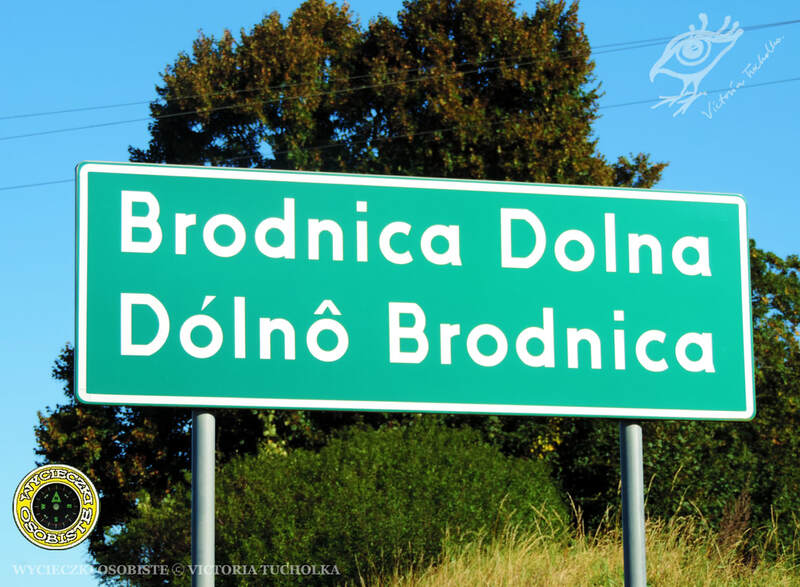 ​If you liked this post, leave a comment or visit my official fb profile Poland for Beginners. Kashubian embroidery varies depending on the part of the Kashubian region it comes from. 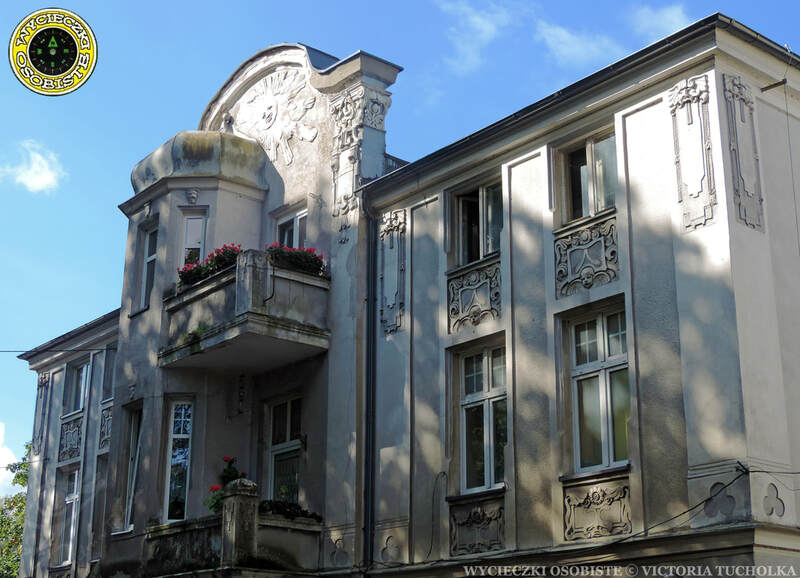 The Wdzydze school is characterized by a different style from the one in Kartuzy or Wejherowo. Still these are not the only schools that exist within Kashubia. 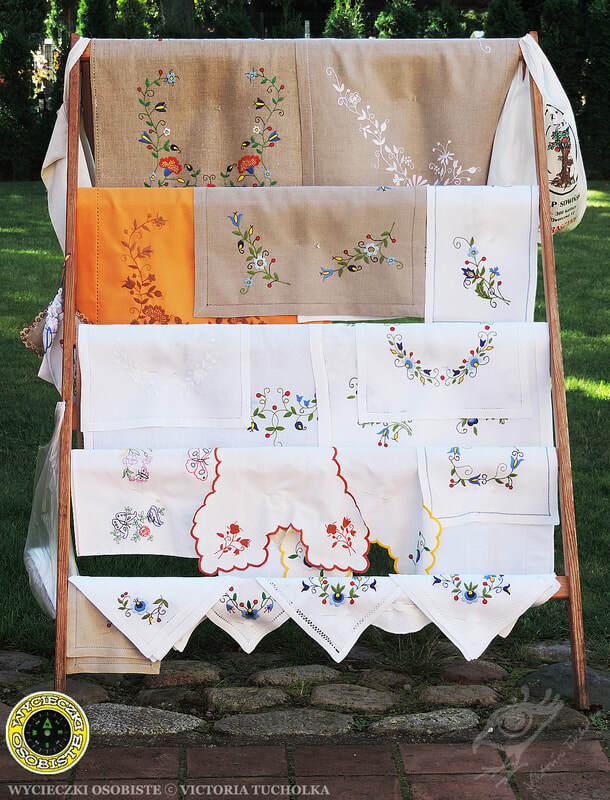 Possibly the most characteristic one is the Żukowo School of Kashubian Embroidery. Żukowo is a town situated in the Kartuzy county. As a rule always 7 colors are used to make a flower embroidery: three shades of blue, yellow, red and black. The choice of flowers varies. 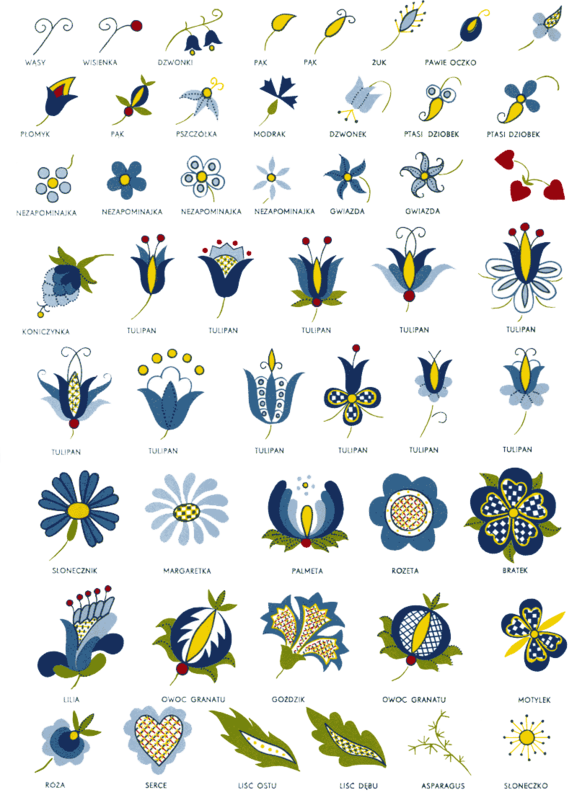 Below you can see a variety of flower representations that can appear on pottery or embroidery from the region. It is surely worth buying one of these hand-made beauties. 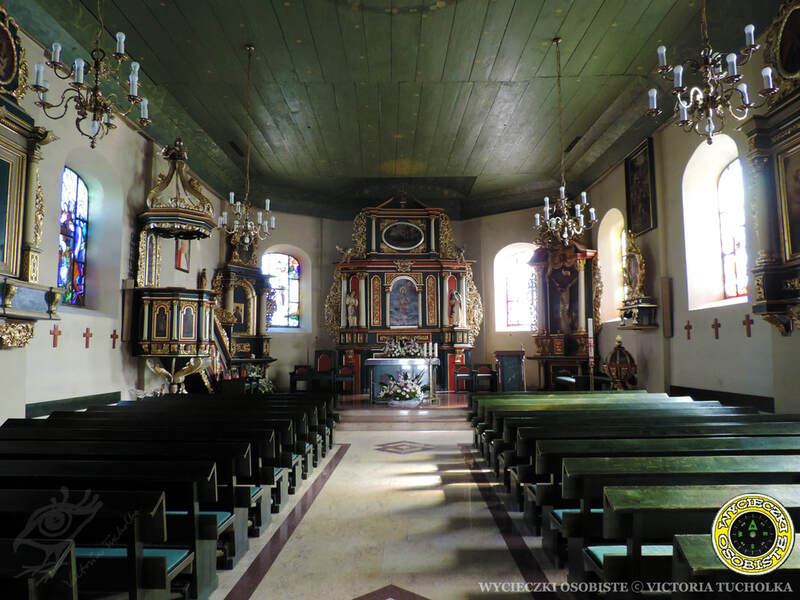 Let me suggest you to visit a small workshop on the Carthusian church grounds where a very nice lady not only sold, but also explained to us the differences between different varieties of Kashubian embroideries. 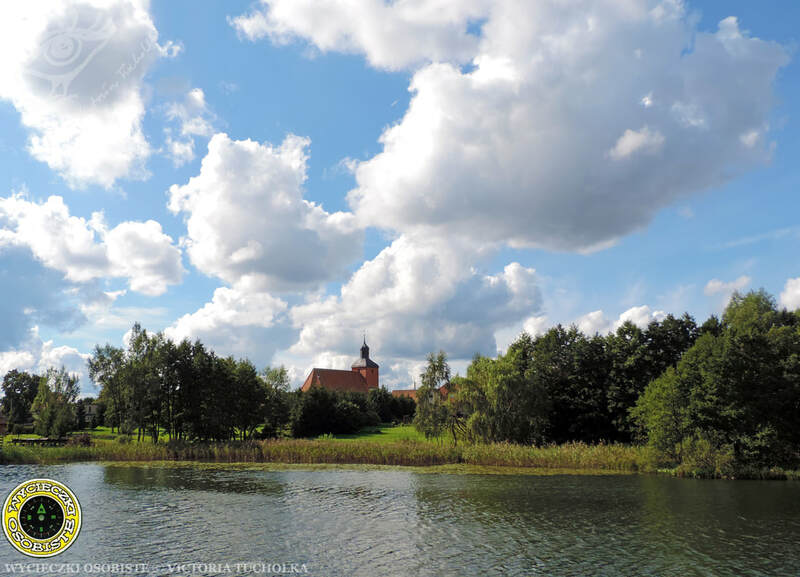 The Kashubian Landscape Park is the most lake area in Poland. It is said to be home to over 600 lakes created as a result of the Scandinavian ice sheet activity. 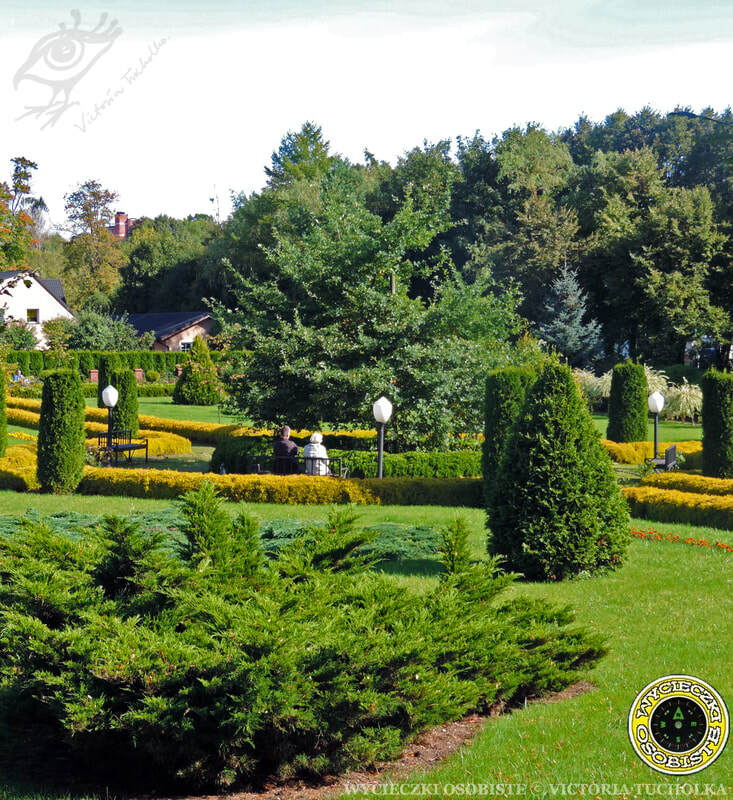 The park is situated in the Pomeranian Voivodeship in northern Poland. 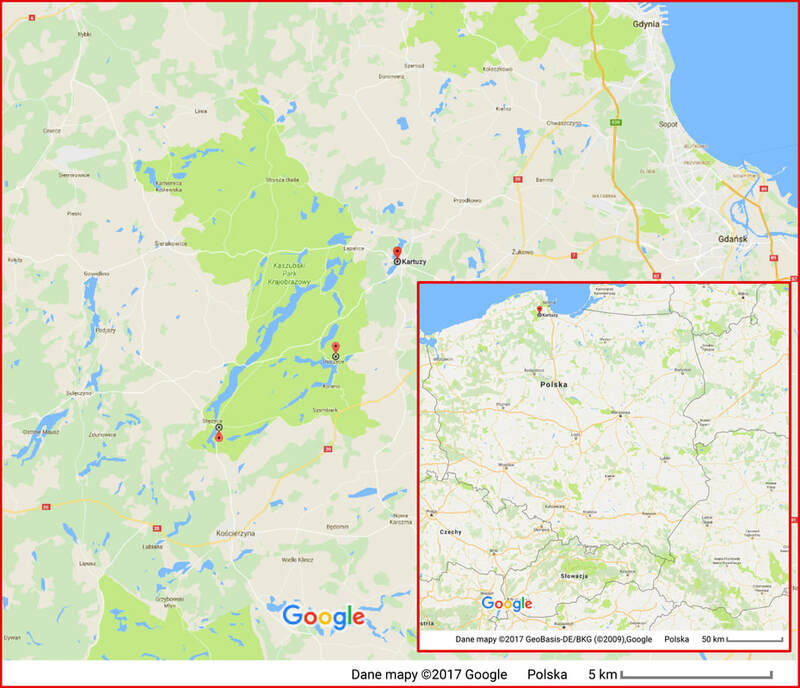 The hilly landscape with abundance of lakes, forests and peatlands is commonly known as Kashubian Switzerland. 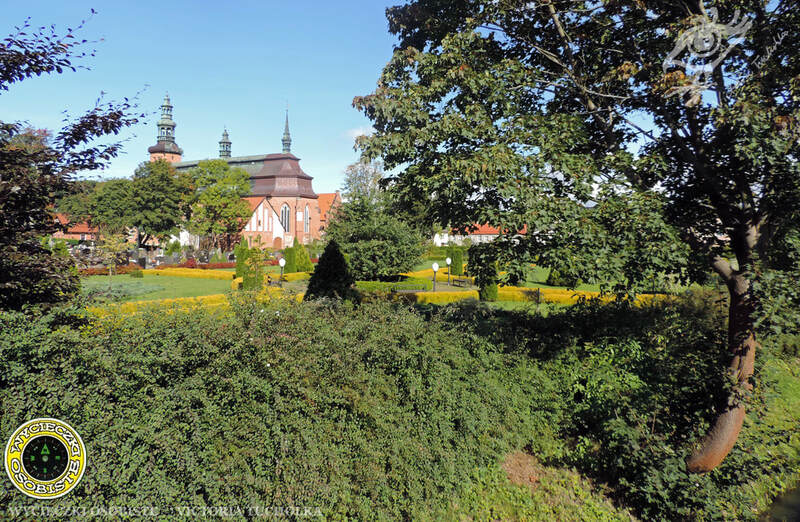 Let me suggest a selection of just a few nice places to visit for a short weekend trip to this beautiful region of Poland enriched by some curiosities about the Kashubian culture. The stone route leading to the viewpoint Jastrzębia Góra. 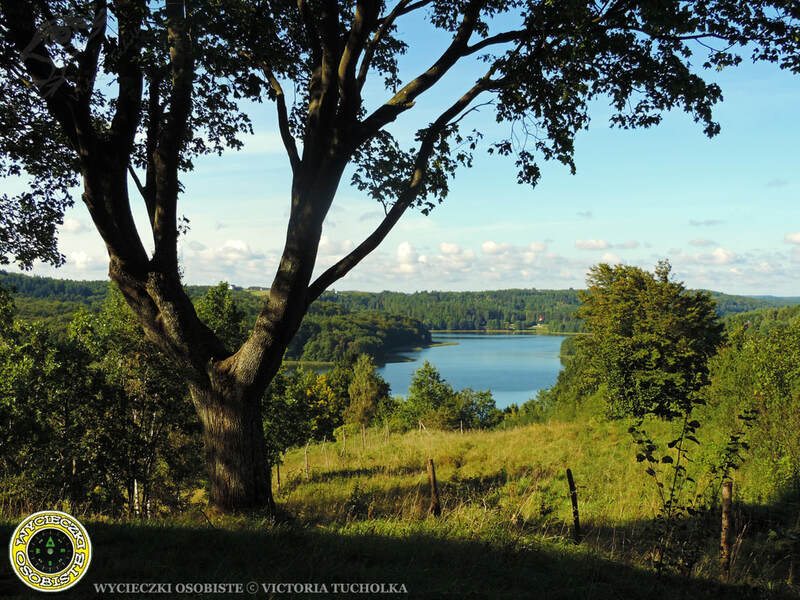 The viewpoint Jastrzębia Góra is a hill situated on the side of the main road around the Ostrzyckie Lake. Hidden in the shade of very old linden trees. Sun shining through the branches together with the large stone and the beautiful panorama of the surrounding lakes one can admire from this perspective make it an ideal spot to find peace of mind. It is free of charge. 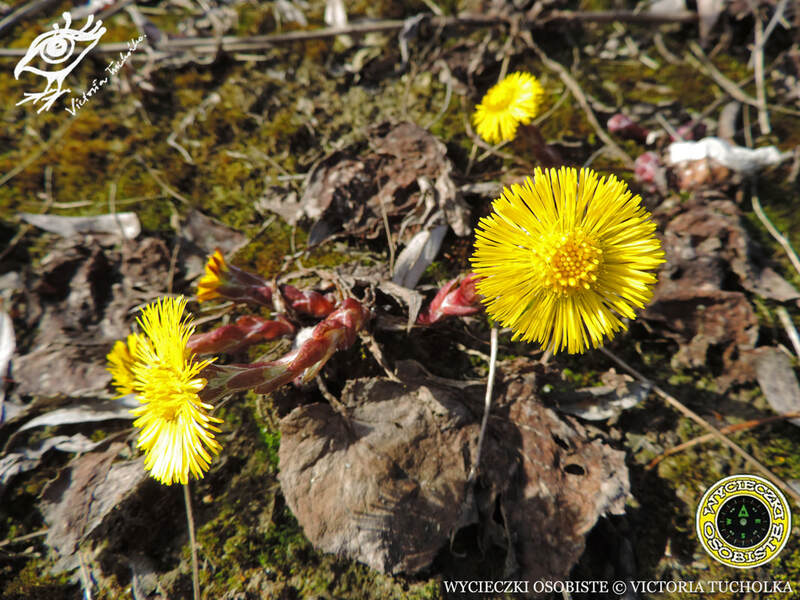 All you have to do is take a short climb up from Ostrzyce or the neighbouring Brodnica Dolna. 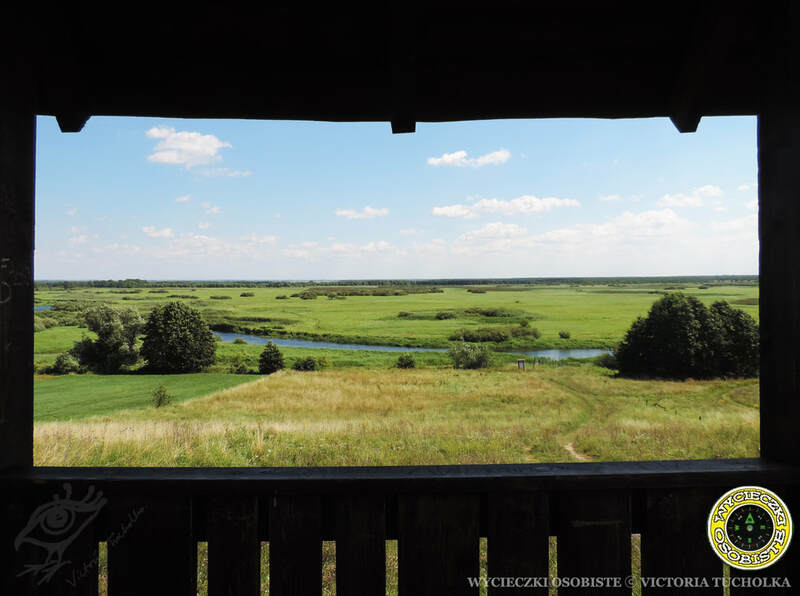 A perfect stop on the way further north the Kashubian Landcape Park. 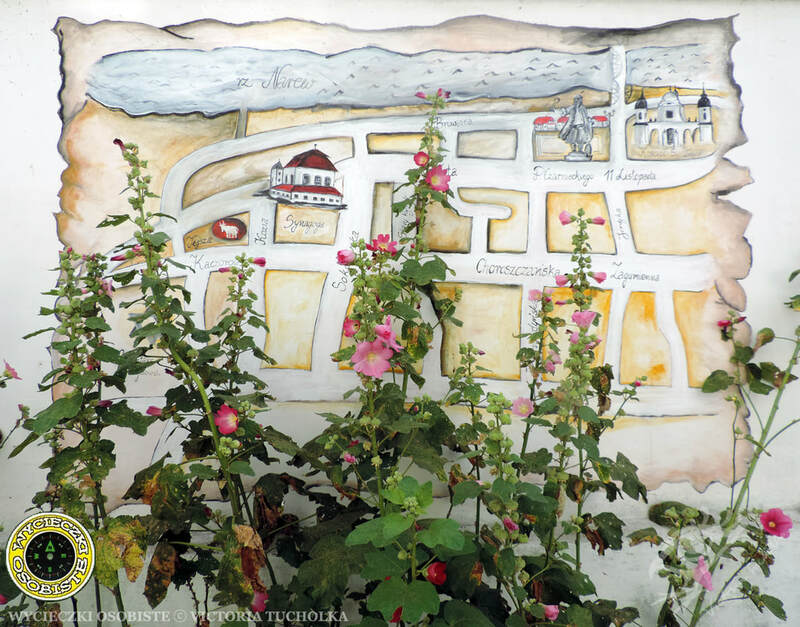 One of the towns on the map of Kashubia that are "a must" to visit! 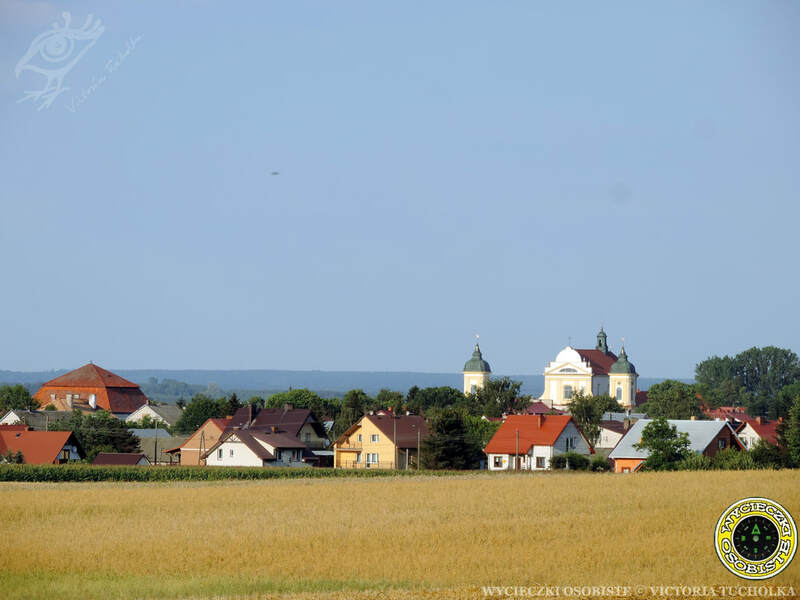 The town of Kartuzy with its unique church, monumental architecture and beautiful green areas is, to make it even more attractive, situated over four picteresque lakes. 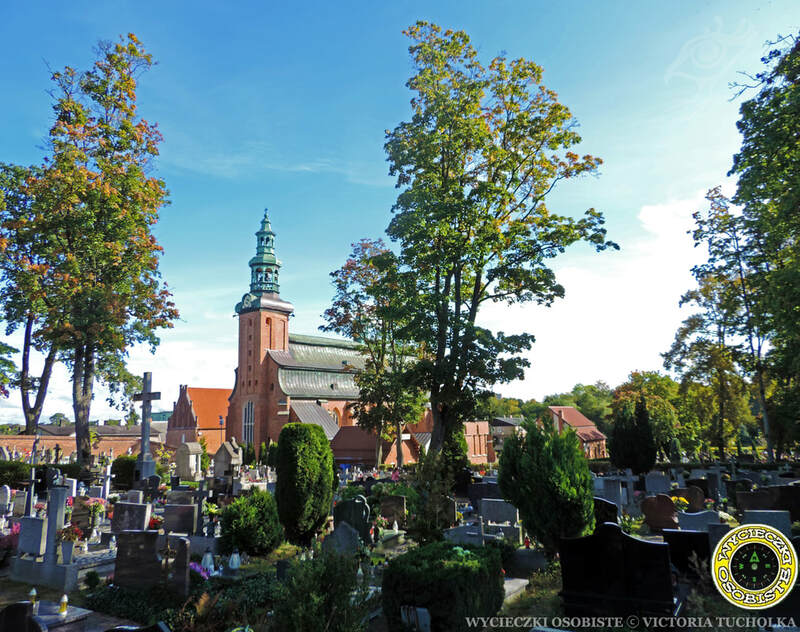 What makes the Carthusian church particularly unique is the cemetery situated next to it as according to the Polish law cemeteries are no longer permitted to be established next to churches. Though some may find it gloomy, thanks to well sustained green areas and parks it is quite the opposite. It somehow makes the gap between the living and those who passed away less severe. As far as I am concerned I am disappointed with the fact this tradition is no longer continued. For sure, it is great idea to combine Sunday mass with a natural possibility of visiting the grave of a relative and take a moment of reflection in the nearby park afterwards. The neigbourhood of the church also seems to have a positive impact on combining green areas and memorials together so that taking a walk down the cemetery's alleys doe no longer stir pessimistic emotions. It reminds me of the old photos from similar places in England or France. Kashubian embroidery varies depending on the part of the Kashubian region it comes from. The most characteristic one is the Żukowo school of Kashubian embroidery. Żukowo is a town situated in the Kartuzy county. As a rule always 7 colors are used to make a flower embroidery: three shades of blue, yellow, red and black. The choice of flowers varies. Below you can see a varety of flower representations that can appear on pottery or embroidery from the region. It is surely worth buying one of these hand-made beauties. 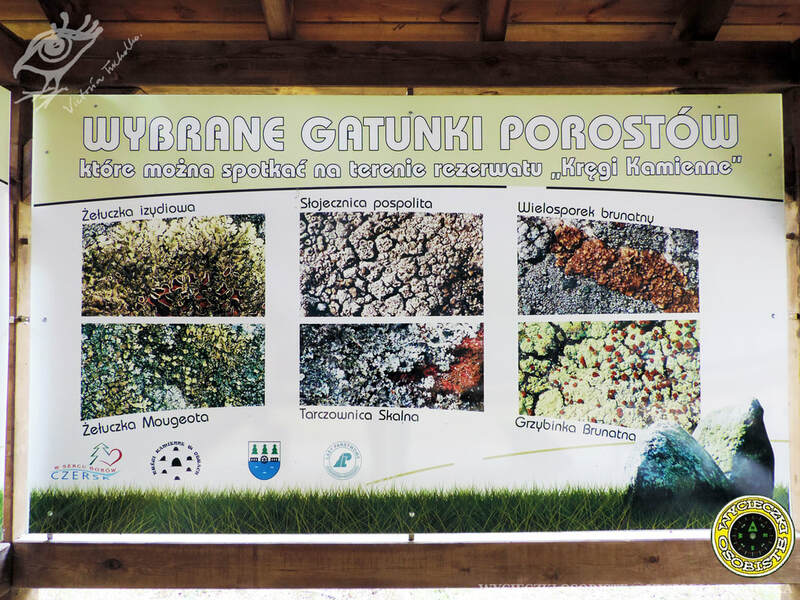 Let me suggest you to visit a small workshop on the church grounds where a very nice lady not only sold, but also explained to us the differences between different varieties of Kashubian embroideries. Here as nowhere else you will feel the wind blowing in the sails! Yes, Kashubia with its numerous deep lakes also is a perfect destinations for sailors. Many marinas, beautiful landscapes and certainly much less tourists than in Mazury make it a perfect sailing destination. The view from the promenade in Stężyca. 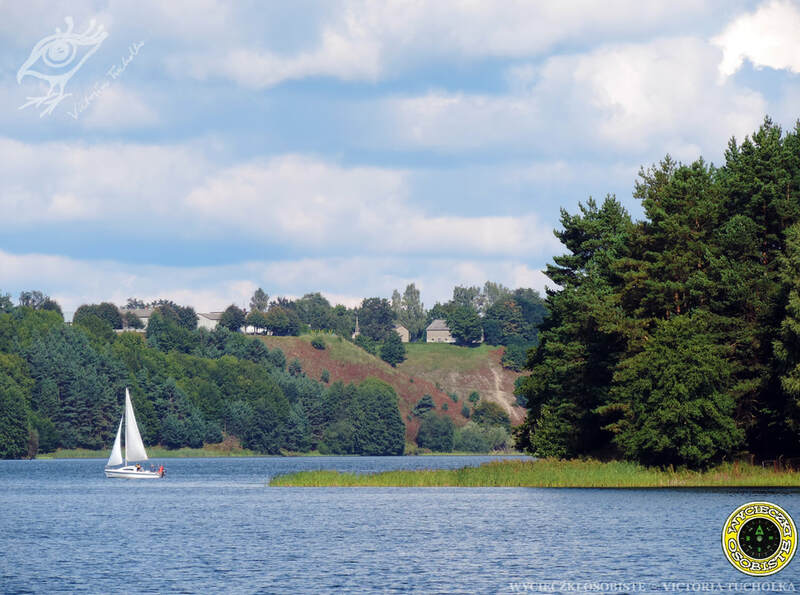 The hilly landscape could no have been better accentuated than by high and steep shores of the Lake Raduńskie Górne. 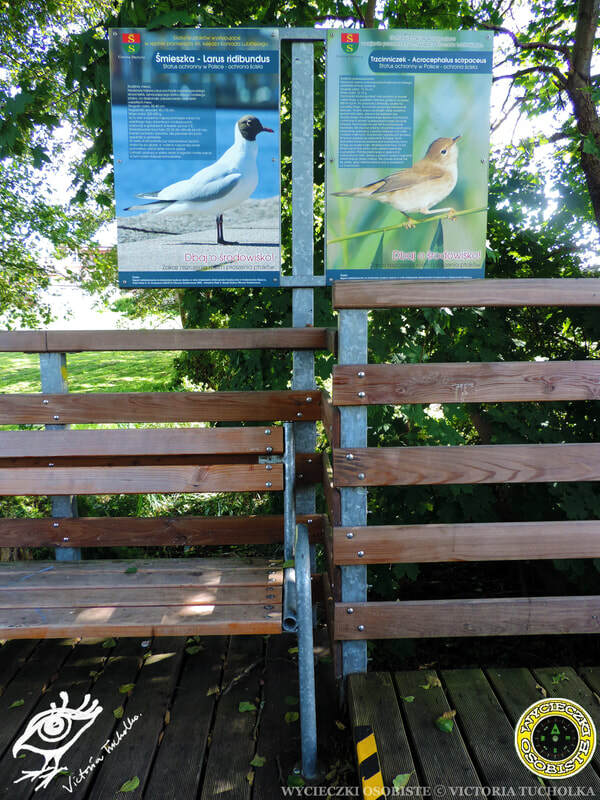 This very nice wooden promenade leading to the shores of the lake is equipped with tables of birds one can observe on the trees growing around. The promenade is dedicated to one of the patrons of the local church. Supposedly a bird lover. There are few bigger and well preserved concentrations of stone circles in Poland. Two of them can be found in Cassubia, in Odry and in Węsiory, one in Ślęża in Lower Silesia. The Stone Circles Reserve in Odry is one of the cemeteries of the tribe of Goths - East Germanic people. 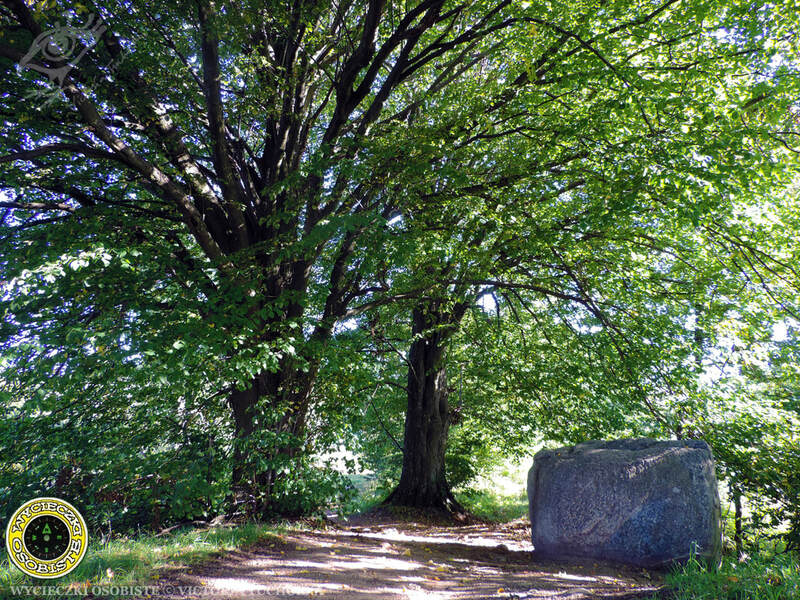 In the Reserve there are 10 stone circles and 29 burial mound, sometimes with a stele. Many people assign magical powers to stone circles. There is also a theory that stone circles were used as astronomic observatory. On the stones many unique lichens can be found. As lichens are known for their longevity, some of them may date back even as far as to the time of Goths. Unfortunately, most tourists are not aware of their fragility and often destroy them by touching or leaning on the stones. 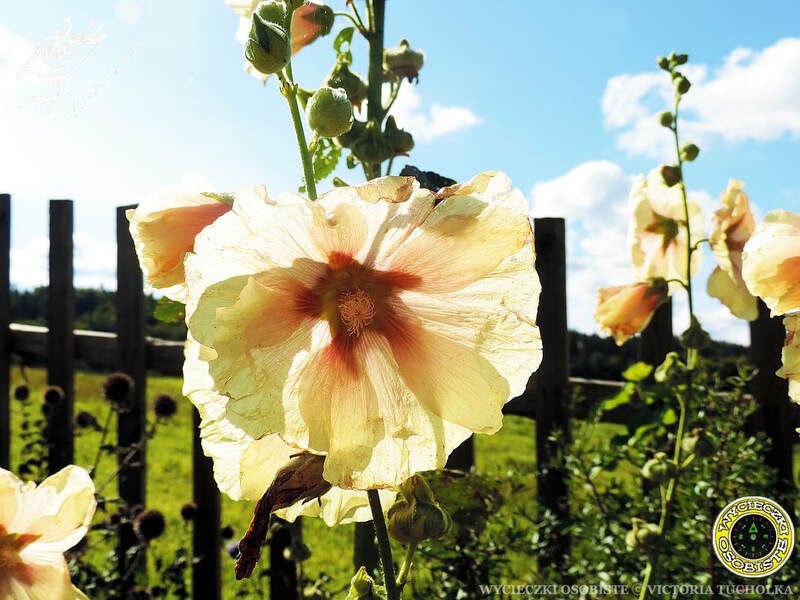 One of many Hollyhock (alcea) hedges we found on our way to the Kashubian Landscape Park. 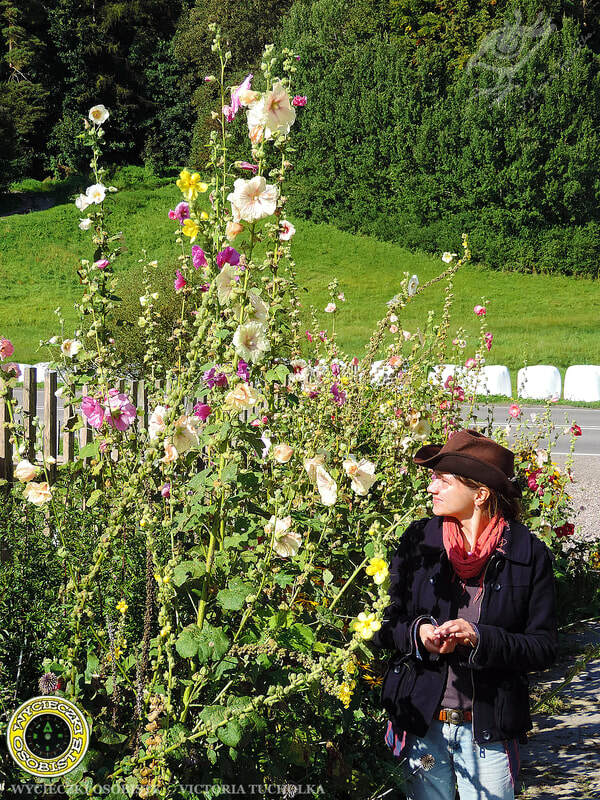 True beauties among September flowers! All the colors of the rainbow - from white to black! 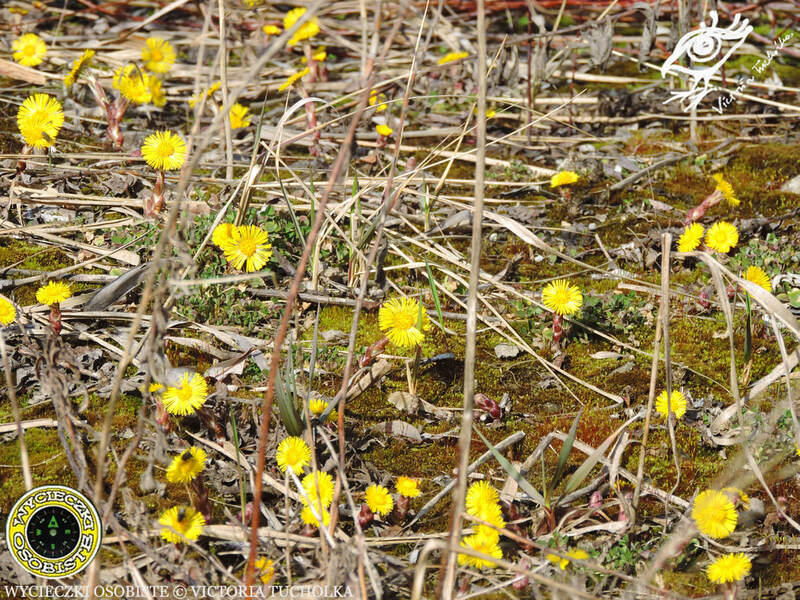 The Biebrza National Park is the biggest national park in Poland and one of the most vast, precious and relatively untouched fenlands in Europe with a unique variety of several communities of plants, rare wetland birds and mammals. 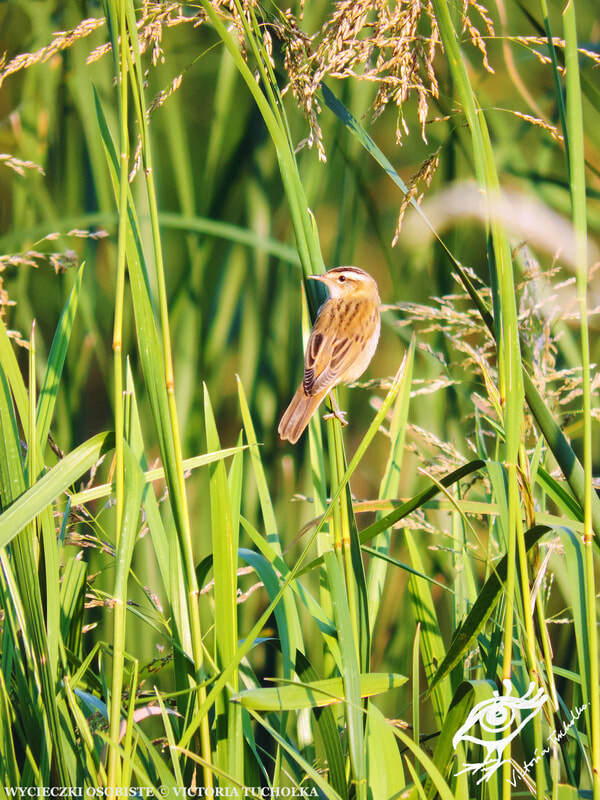 The Aquatic Warbler is one of the birds most often cited on information boards next to most viewpoints in the park. 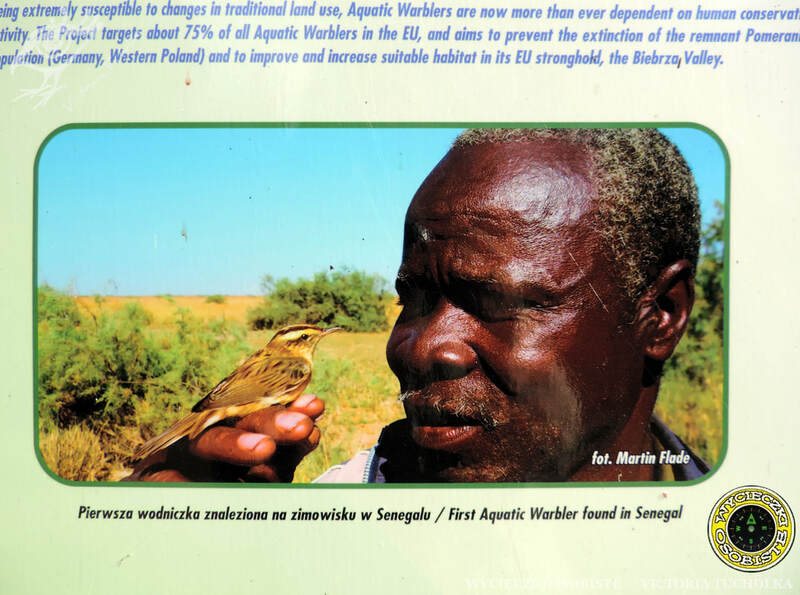 Over 25% of the entire population of this endangered species can be found in Poland. 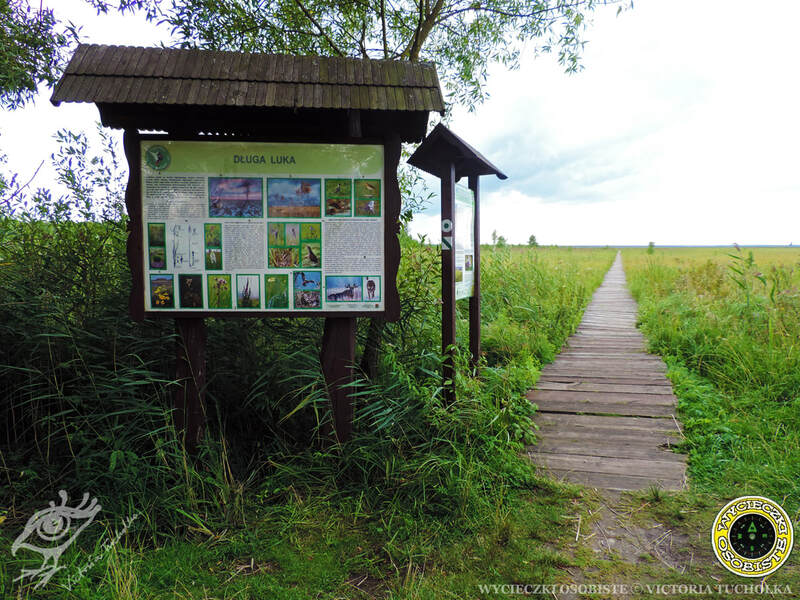 The Biebrza National Park is one of the mot popular destinations of bird lovers. 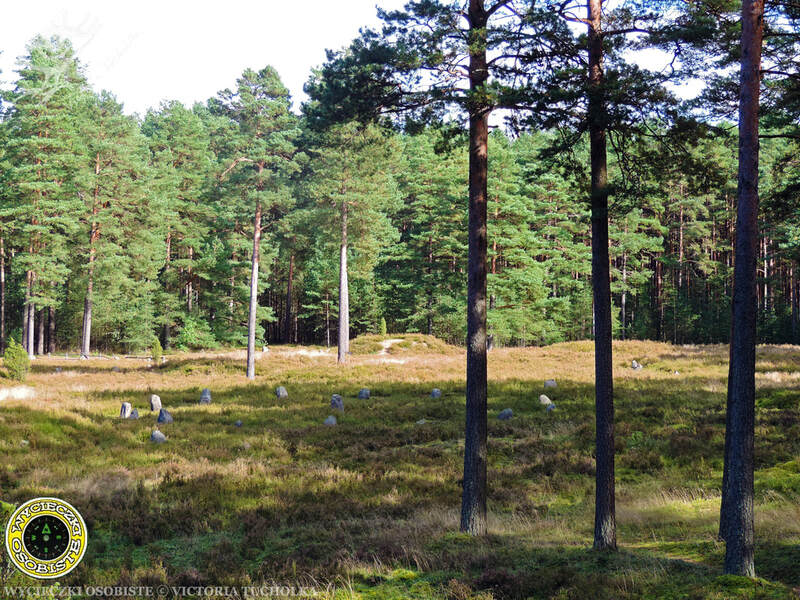 Apart from birds the Biebrza National Park is also famous for the biggest elk population. If you travel up the Carska Road you will find many warning signs with the elk symbol. Some of them are a word play. 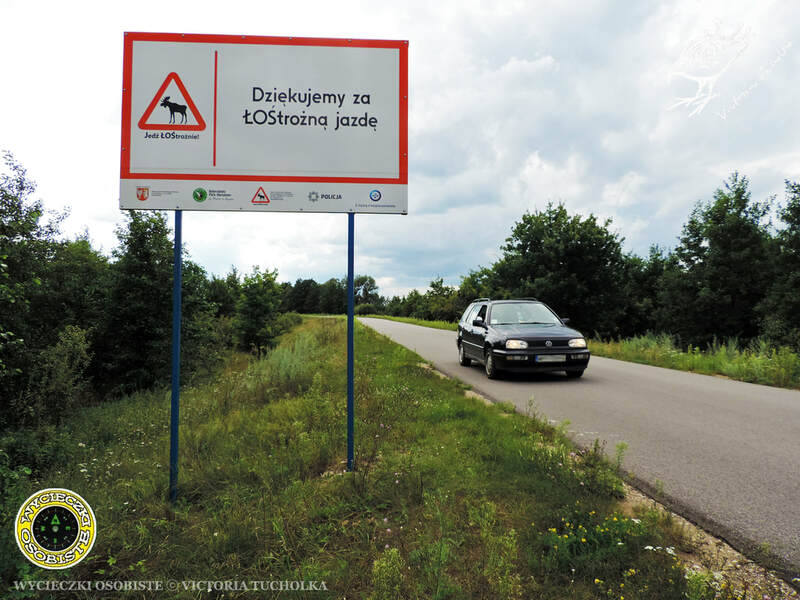 Elk in Polish is "łoś [pronunced: wos]", while carefully is "ostrożnie [pronounced: ostrod͡ʒə'gne]" - as you can see both words start with similarly pronounced letters, what has been cleverly used in the word play on the sign below. On the Carska Road you will find many viewpoints. Here is one of them. This wooden footbridge will lead you some way into the wetland from where you will be able to see the endless panorama of the wetland. Impressive, but terrifing as well. 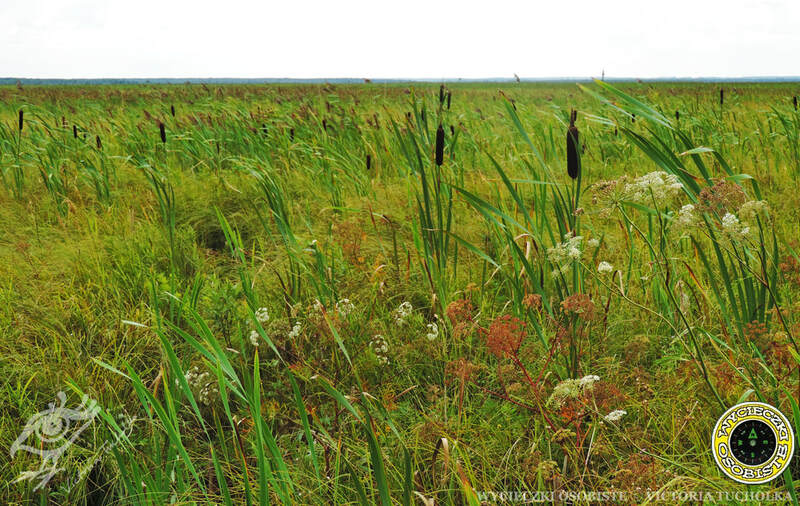 I guess it could be very easy to get lost on this wetland plain, but at the same time it could be a real adventure. Maybe yoy will be lucky enough to see the elk live. A guide is certainly a must! 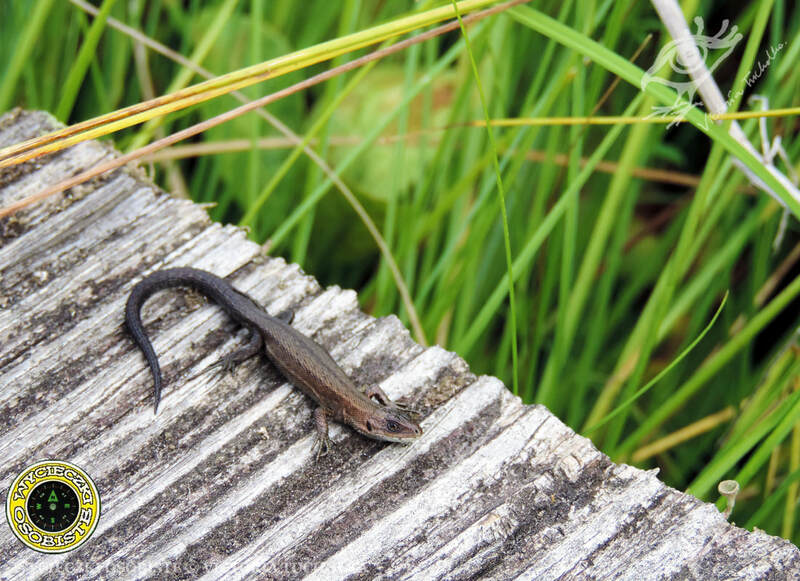 On you way watch out for the small lizards! There are plenty of them. Also have a close look at the plants growing on both sides of the footbridge. 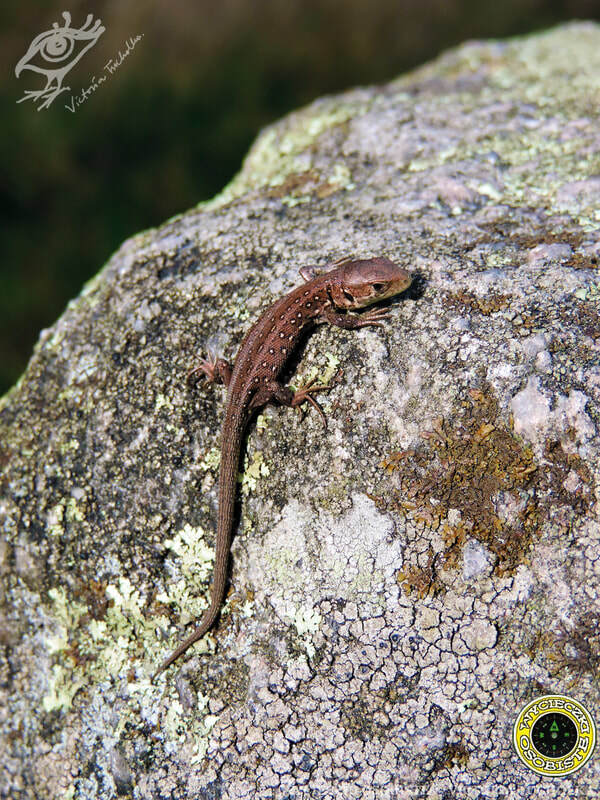 Some of them are very rare and can be found only here. 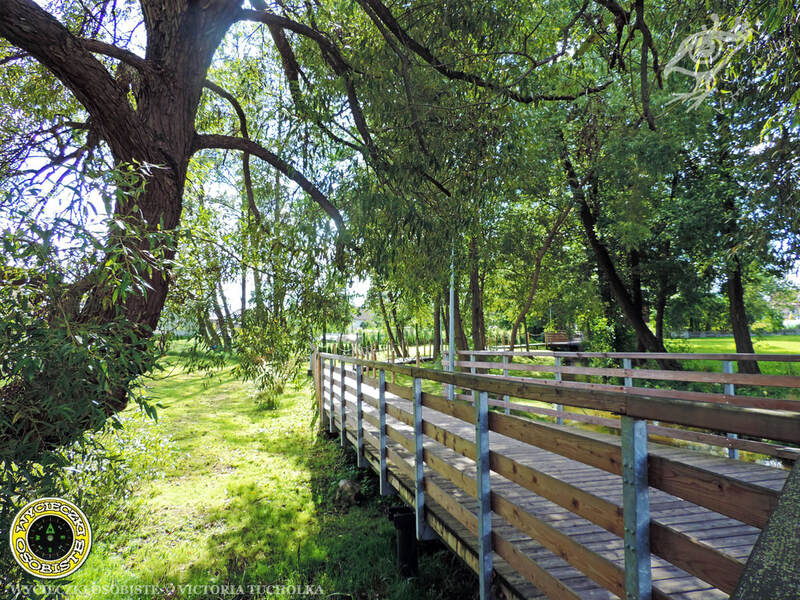 This footbridge is only 400 metres long, while further on you can take a longer walk deep into the wetlands sometimes as long as 3 kilometers. It is very likely that you will be quite alone there. Only you and the wilderness. There are also many observation towers around. 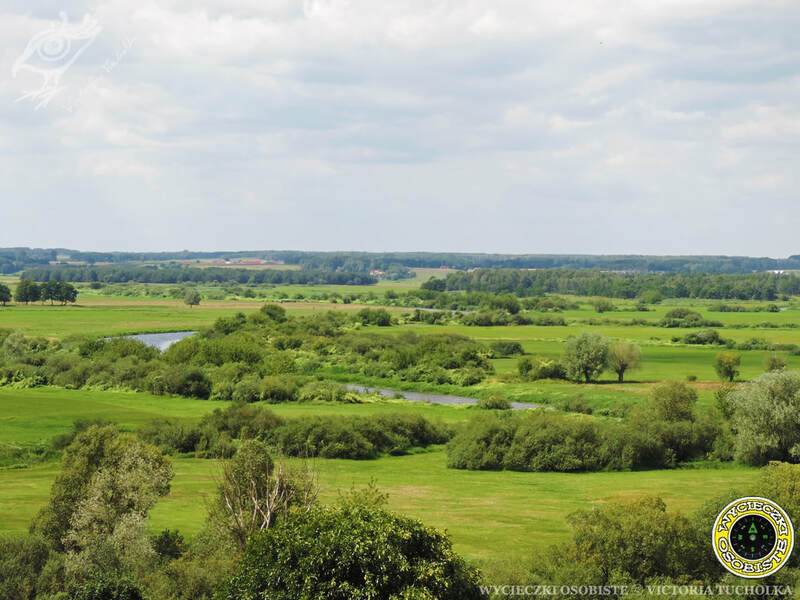 If you are, however, not so passionate about exploring the wilderness and you would rather prefer a bit more civilization, let me recommend a visit to a nearby city of Tykocin. On the left hand side the characteristic square roof of the Jewish synagogue. On the right hand side the baroque Holy Trinity Church towers over the city. This small town has preserved its original spatial layout with clearly outlined old Jewish part. Before the 2nd World War ca. 2,000 Jews lived here. As it was the case of most Jewish communities in Polish cities during the 2nd World War, the Nazi Germans exterminated the whole community in the nearby forests. 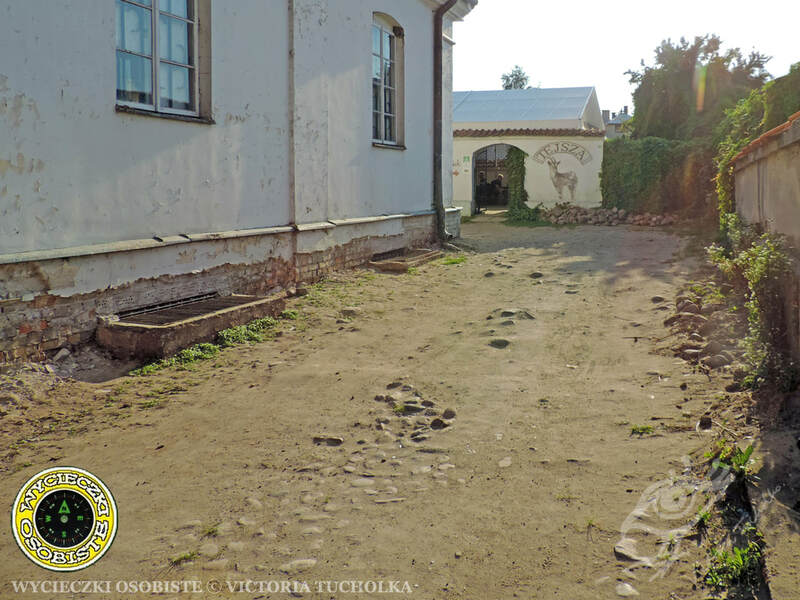 Tykocin never recovered its Jewish population. 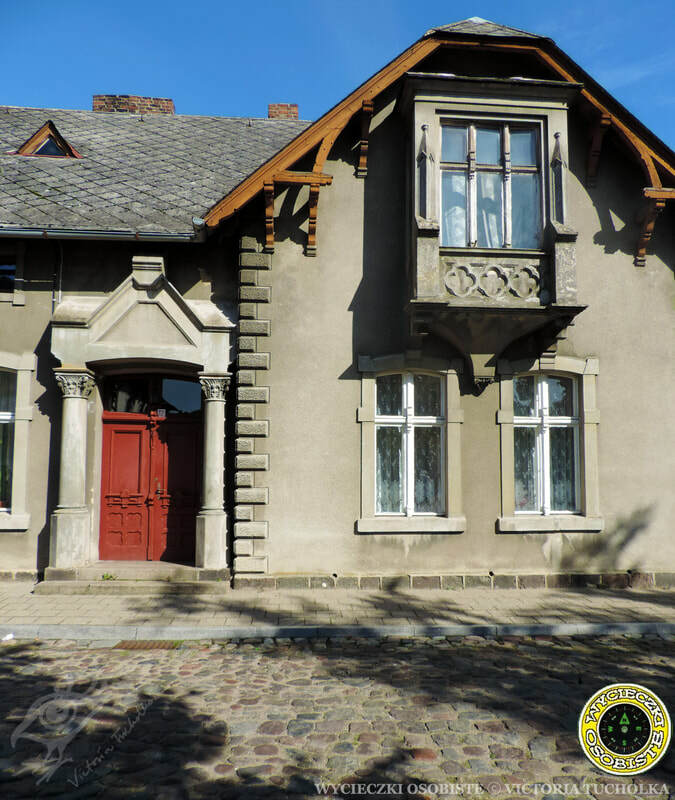 Still many things remind of Tykocin's Jewish past - apart from the Jewish part of the city with many houses carrying characteristic Jewish decorations, the city is home to the 2nd biggest synagogue in Poland, which is part of the Jewish Musuem. 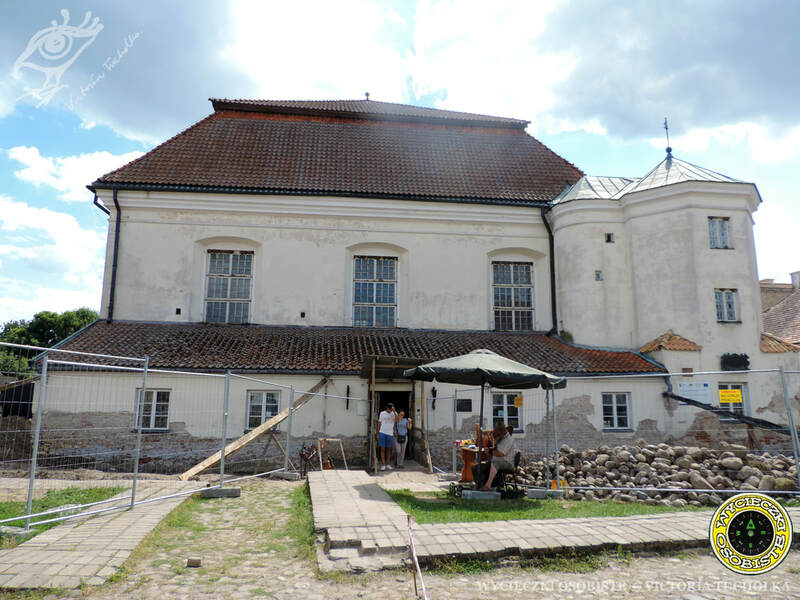 The synagogue is very well restored! At the entrance you can collect an audio set with headphones with a recorded guide tour. 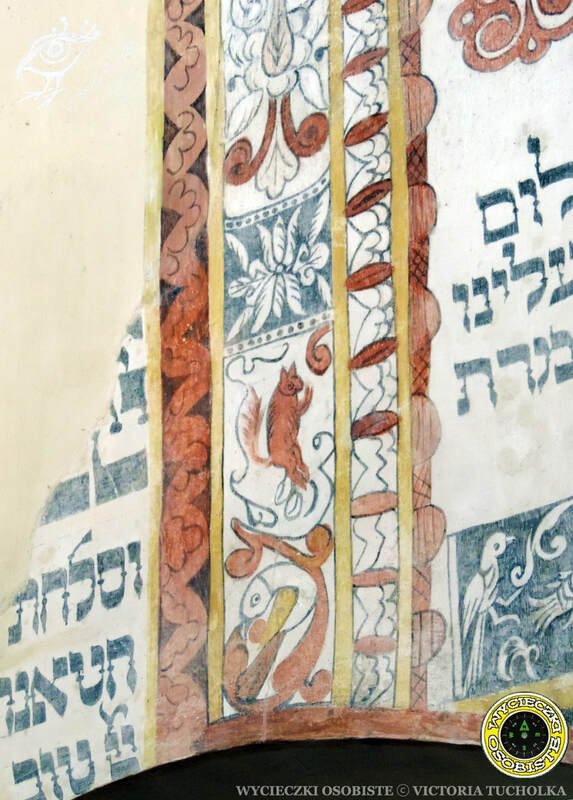 The prayers painted on the walls are very beautifully decorated with ornaments! Most of them cannot do without peculiar animal representations. Lions, fish, birds, hare or ever squirrels! It is very characteristic for Jewish temples! 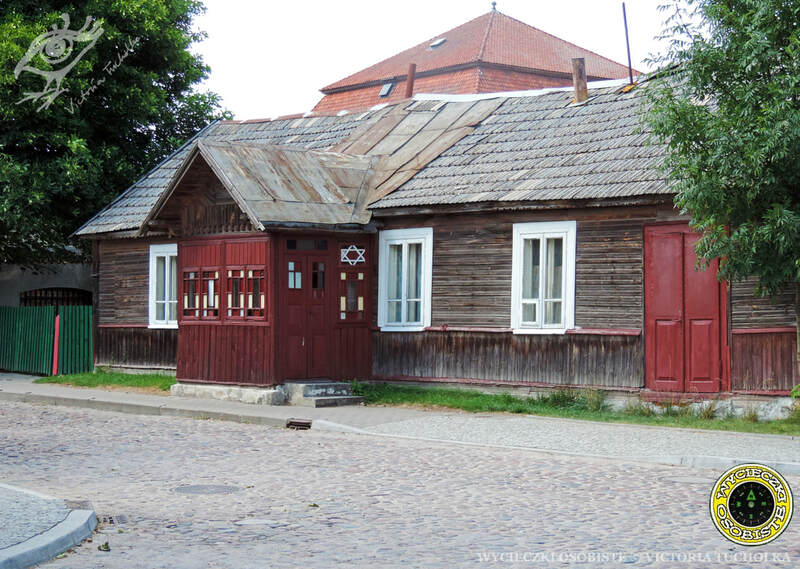 One of Tykocin's restaurant nooks and crannies - the Jewish restaurant Tejsza is situated at the back of the synagogue. Tejsza in Hebrew means goose. 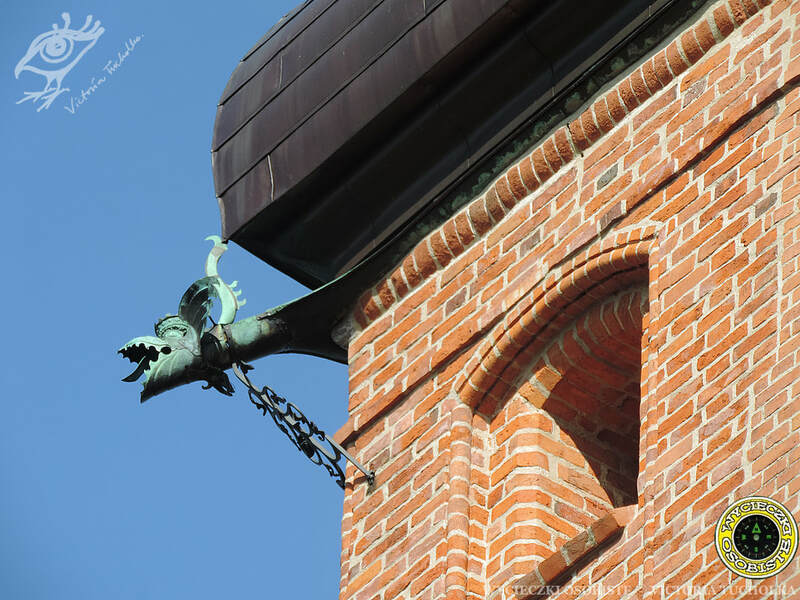 And that is also the animal enchanted in Tejsza's logo visible on the wall from the main street. It is really a nice place to have a dinner. Tejsza is a small, but very cosy restaurant with a very nice service. No worries! The menu is also in English. As you can see most dishes cannot do without the crucial Jewish ingredient - honey. 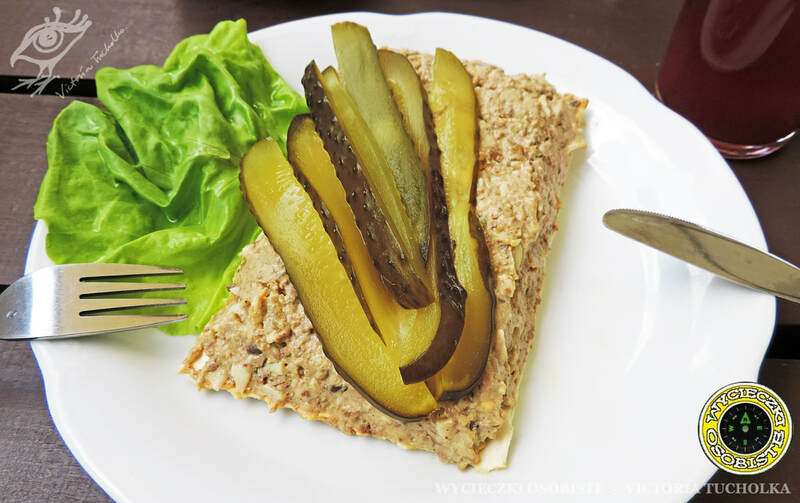 As I have learned, Tzimmes is one of Tejsza's signature dishes. 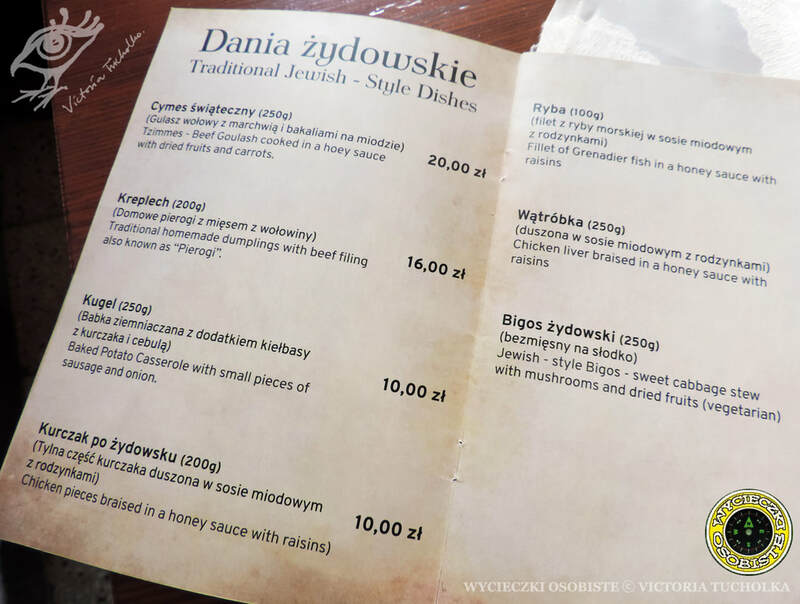 English menu, but rather Polish currency. 20 zlotys stands for approx. 5 euros. And here for a change a dish without honey. The famous Jewish caviar - liver pasta with eggs and onion on matzah (sort of Jewish crispy bread). Hi! My name is Victoria. Welcome to my personal travel photoblog about Poland created especially for you, my foreign friends, who are curious about Poland! English philologist and film editor by education. Translator by occupation. A lover of my motherland Poland and globetrotter with journalist ambitions. Passionate about photography. I love traveling, active way of spending time and contact with nature. Experience and explore - that is what drives me! I am on the look for happy islands. This is my fairy tale about life in Poland!